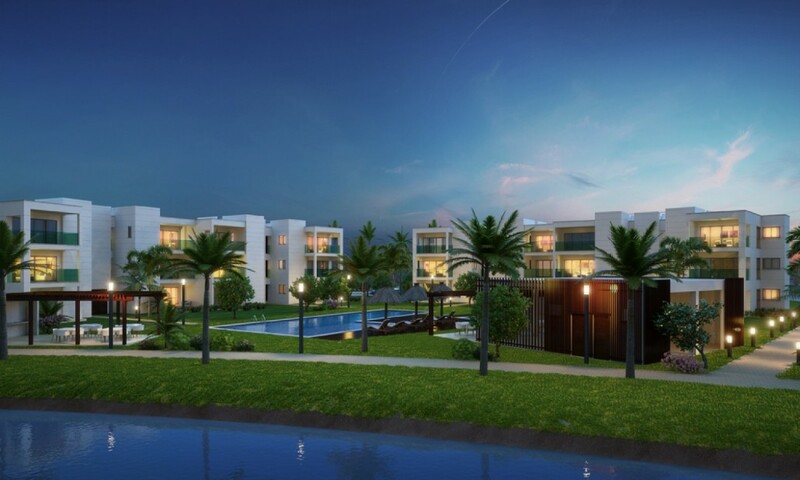 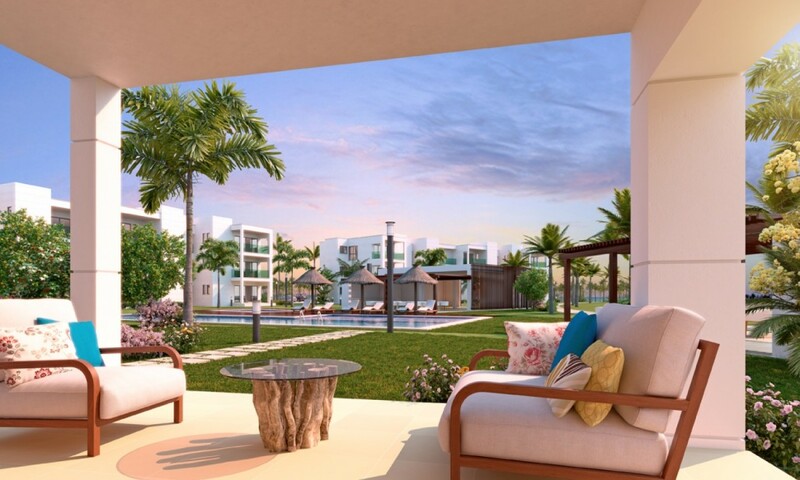 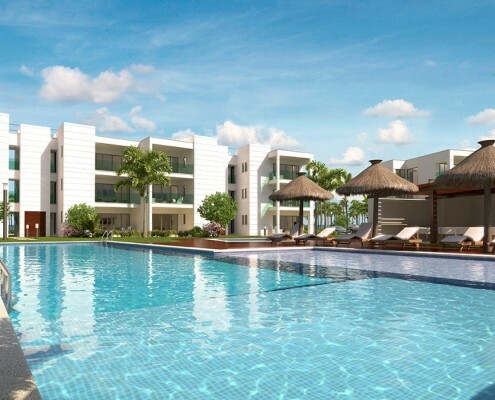 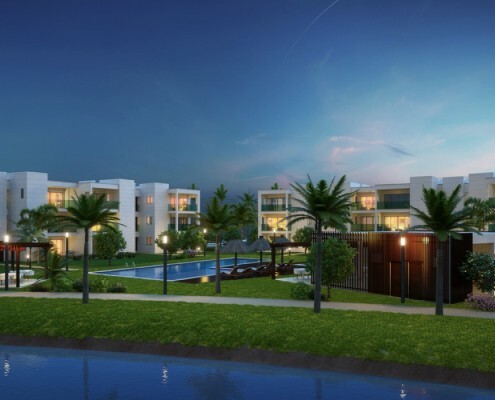 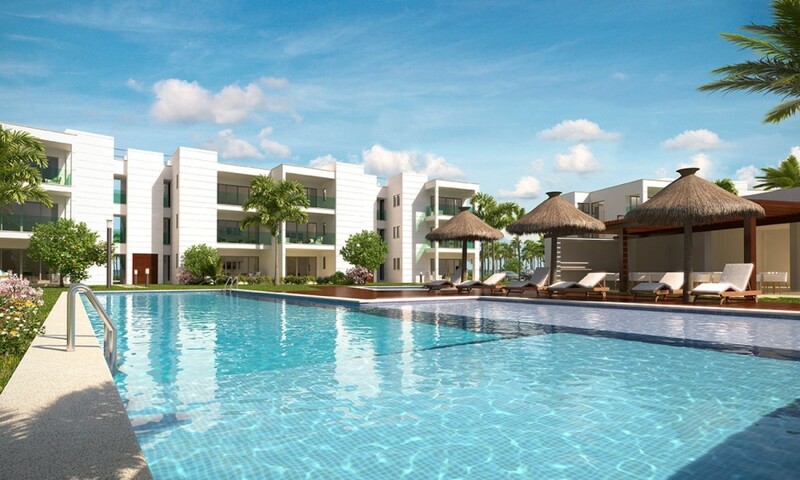 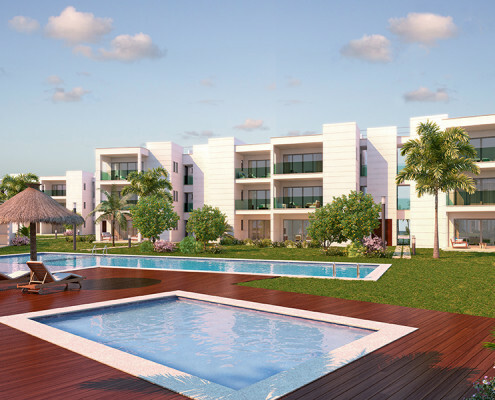 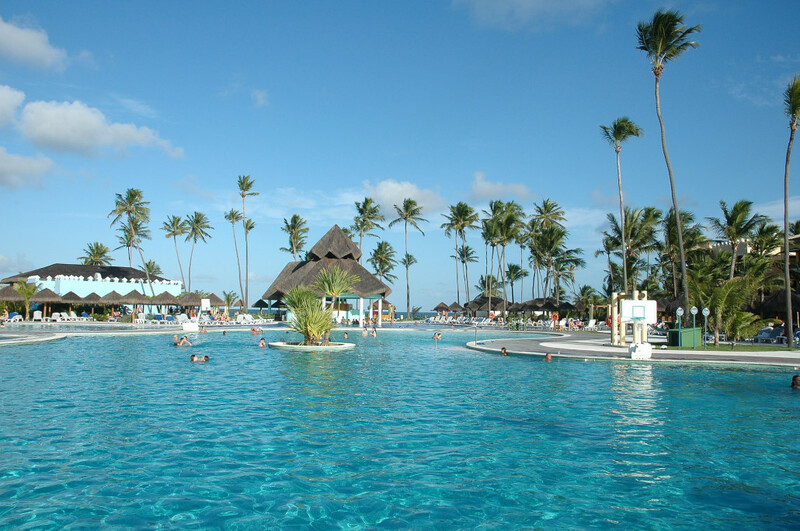 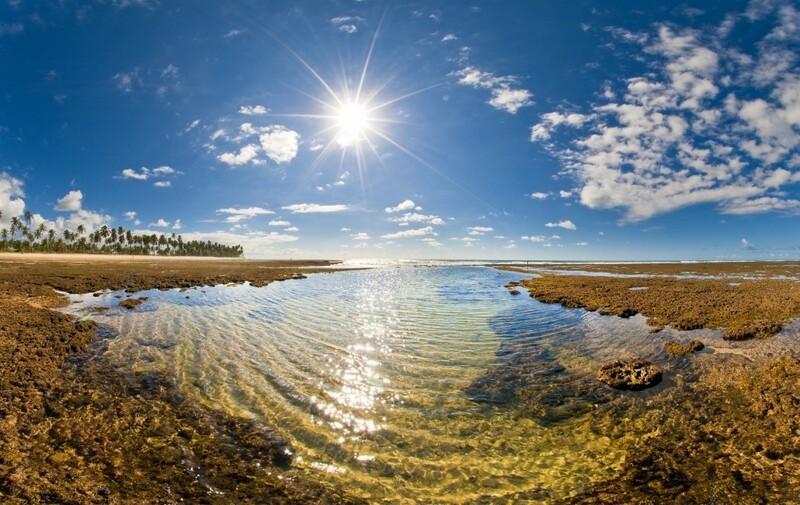 The natural paradise in which Iberostate’s villas and condos are located is a gem of nature. 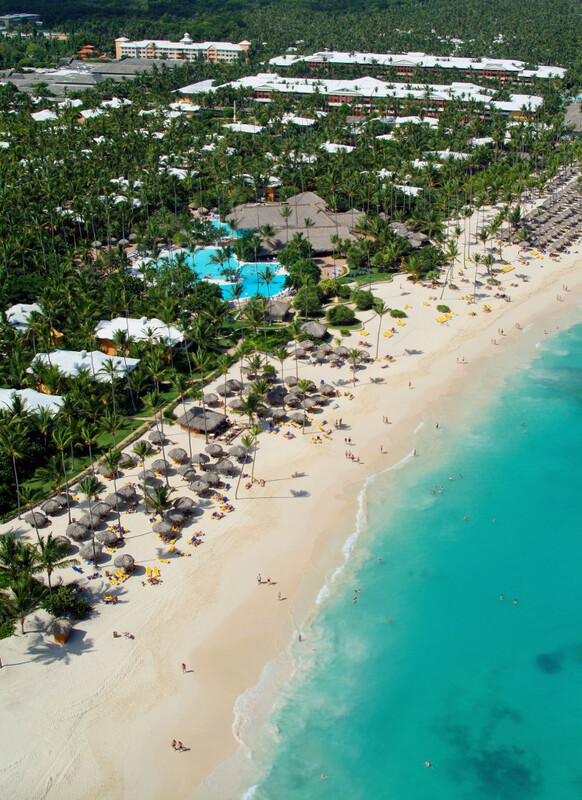 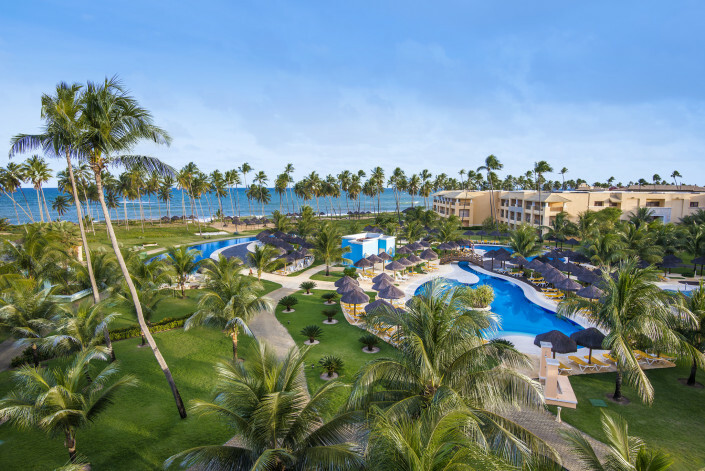 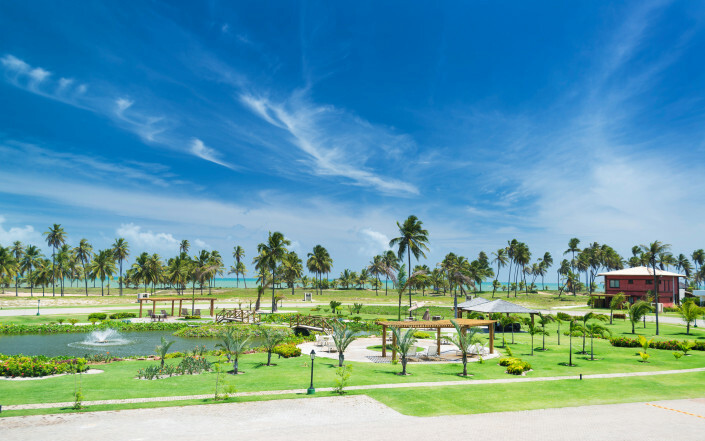 Bathed by the Atlantic Ocean and on a sprawling beach of fine sand, it has a golf course, 12 pools, a fully-equipped SPA Sensations center and endless sports and entertainment options for all ages. 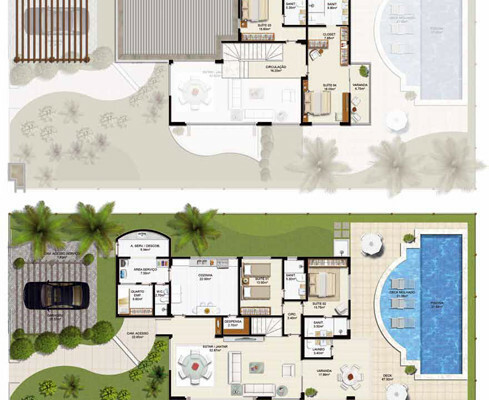 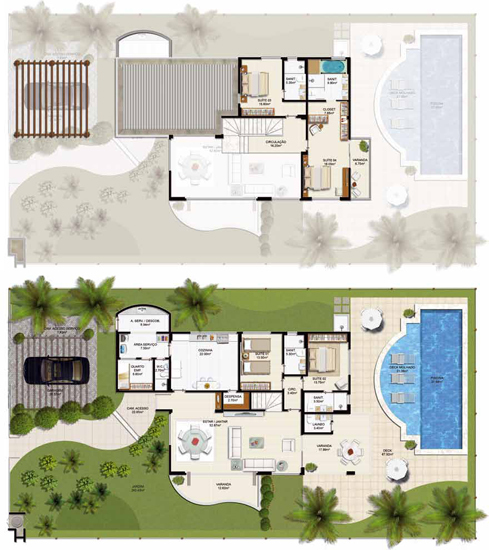 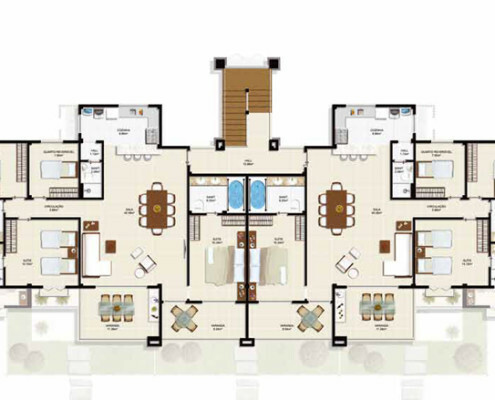 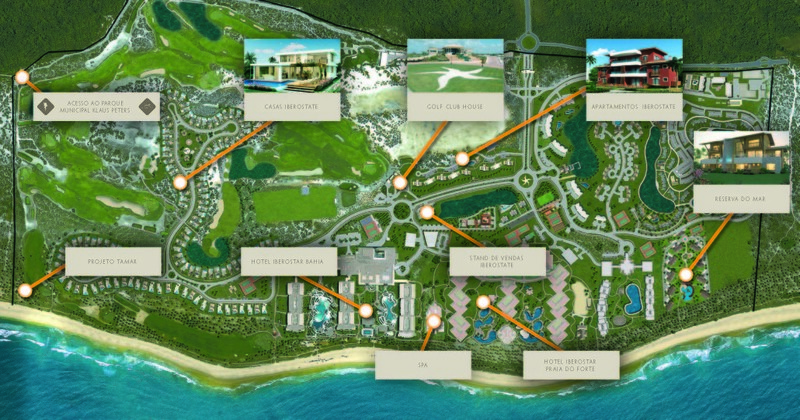 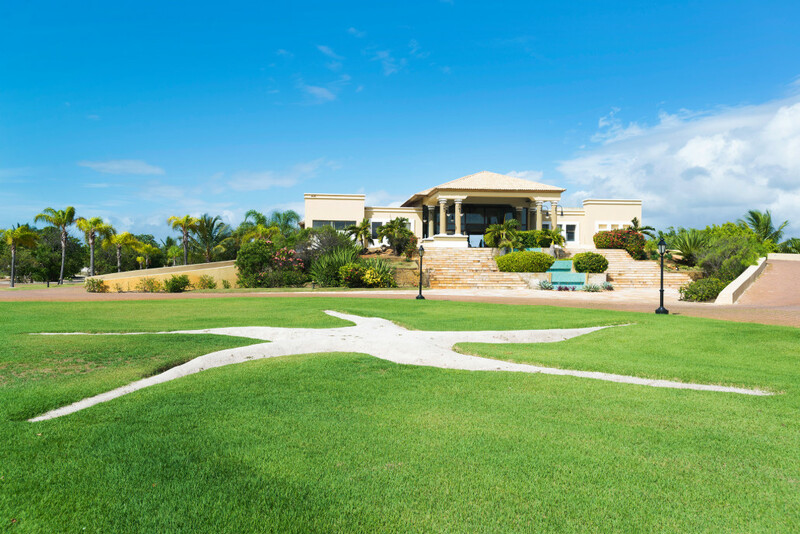 An elegant and exclusive resort that offers a magnificent investment opportunity. 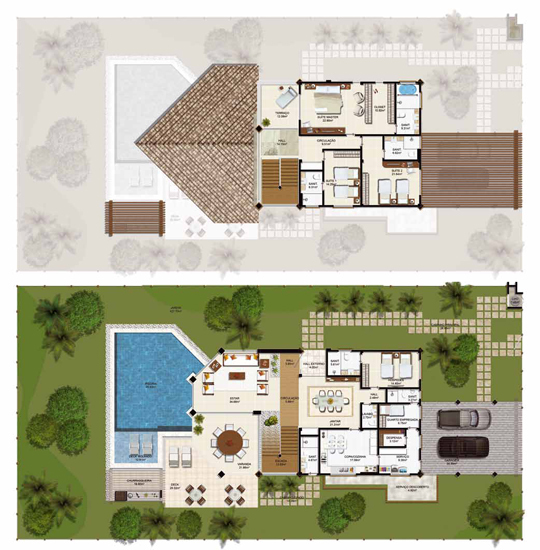 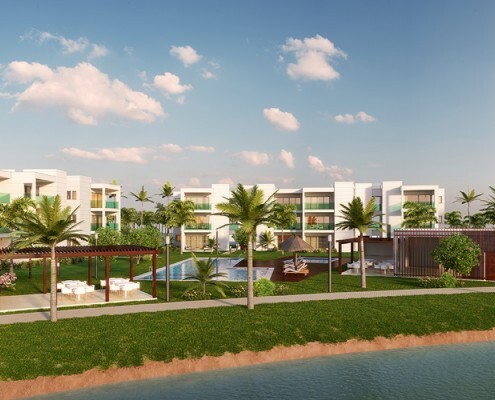 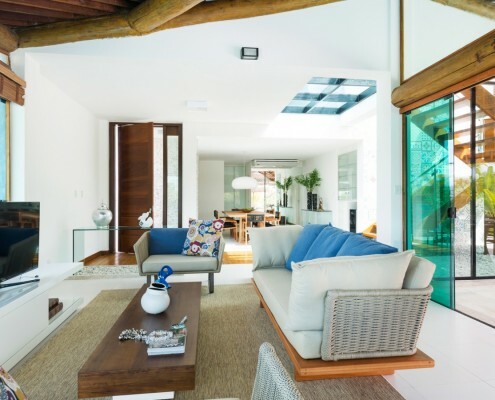 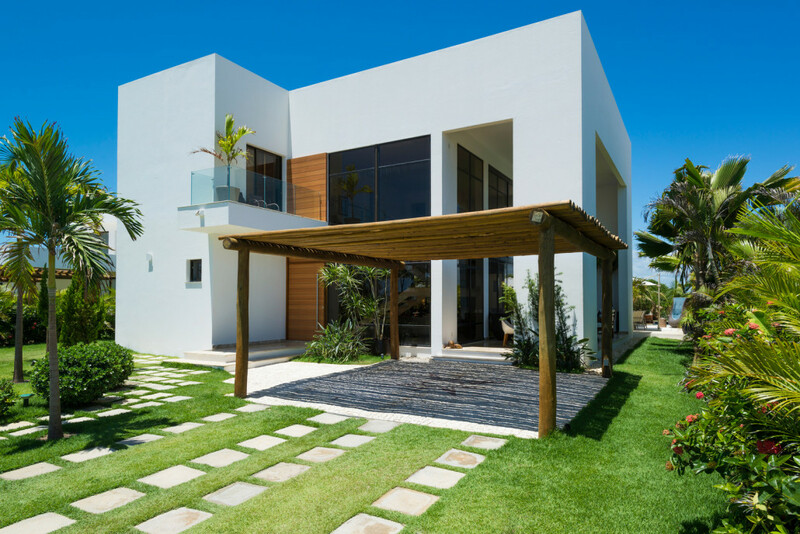 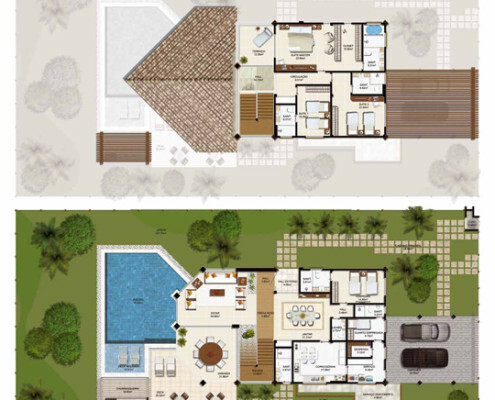 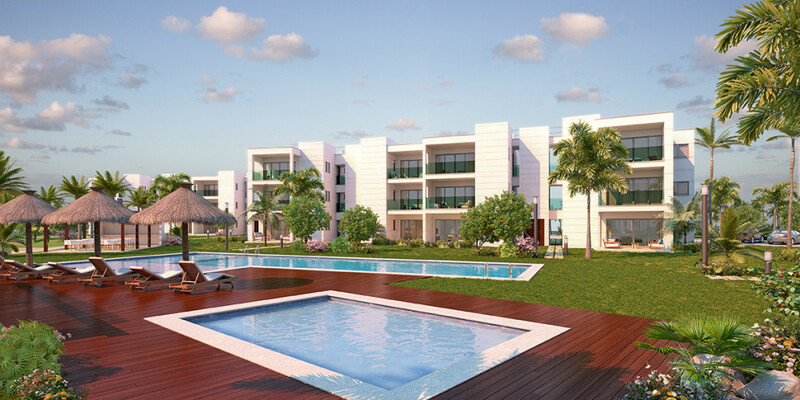 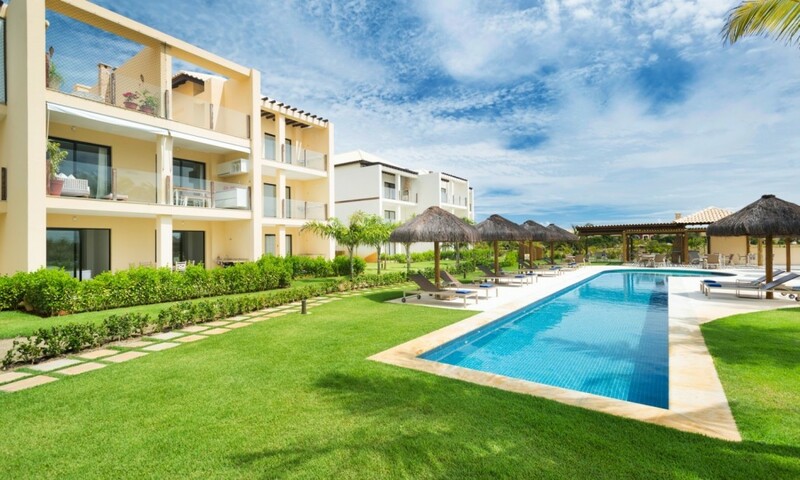 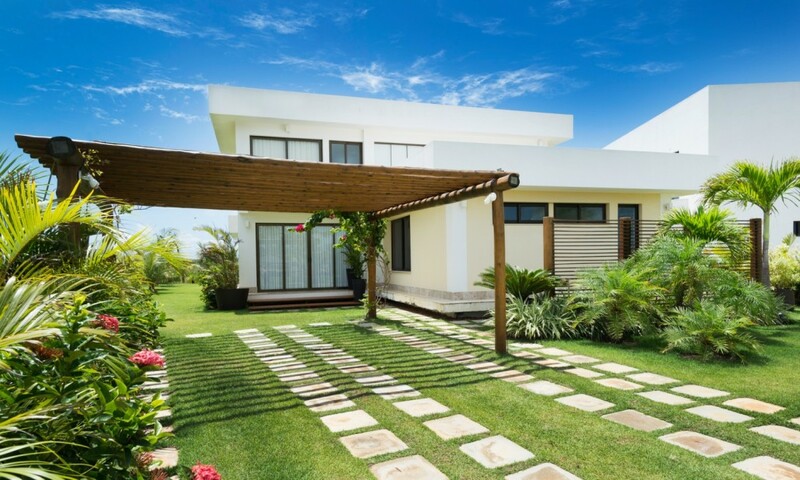 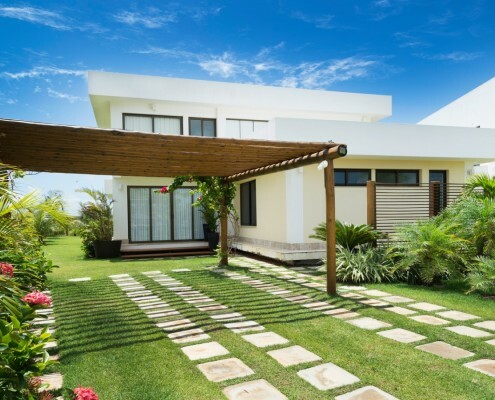 Discover our spectacular villas and condos in Praia do Forte, designed by prestigious international architects and integrated into a unique setting. 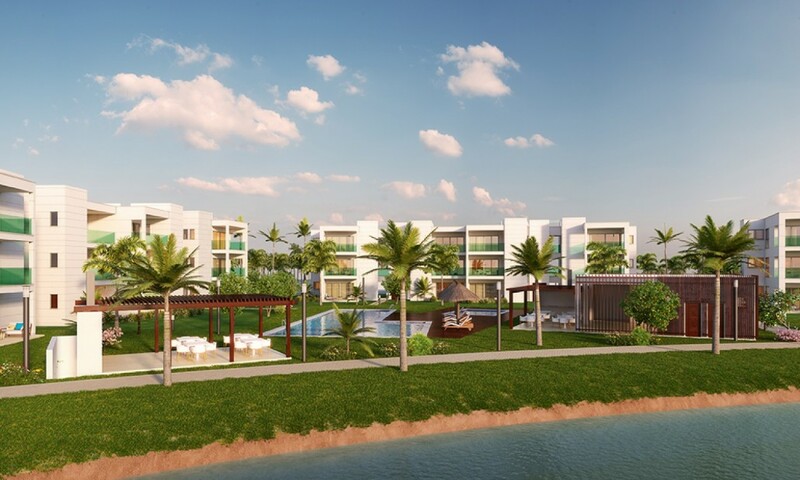 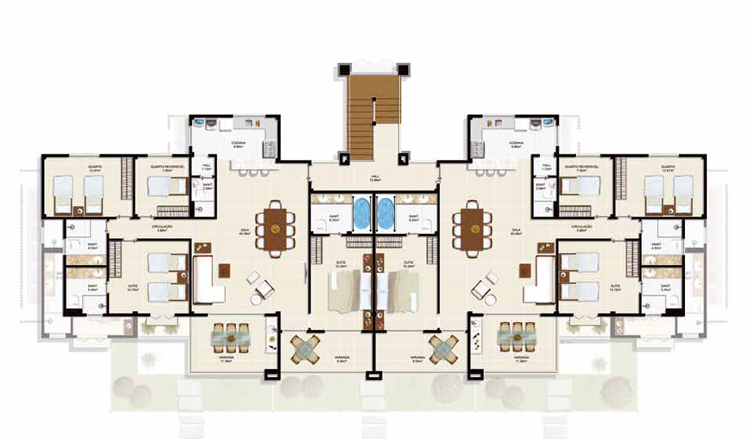 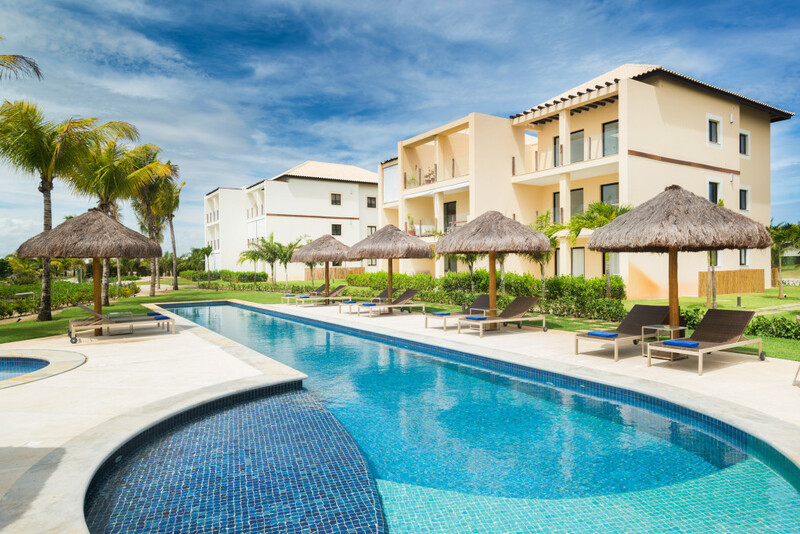 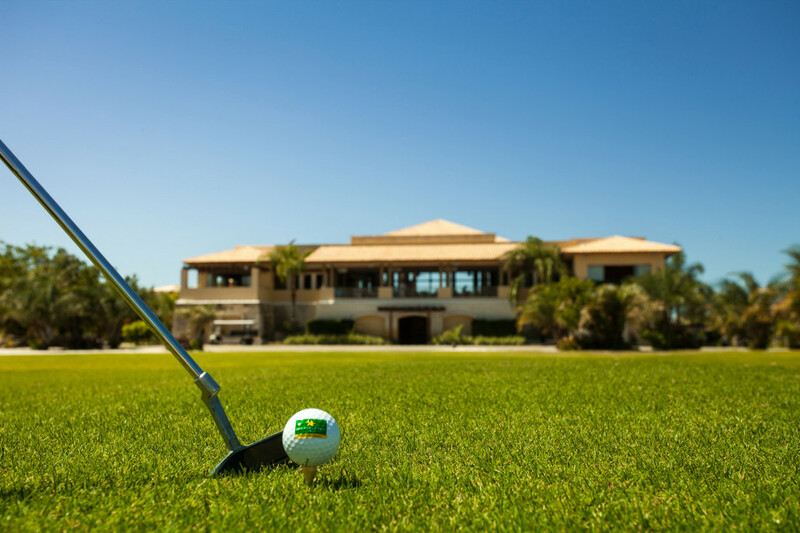 Enjoy first-class services, exclusive communal areas, and an extraordinary golf course. 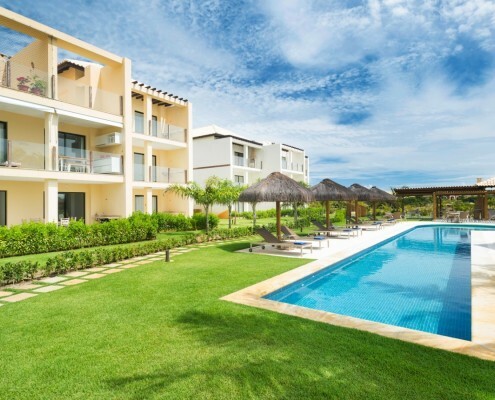 Discover our spectacular villas in Praia do Forte, designed by prestigious international architects and integrated into a unique setting. 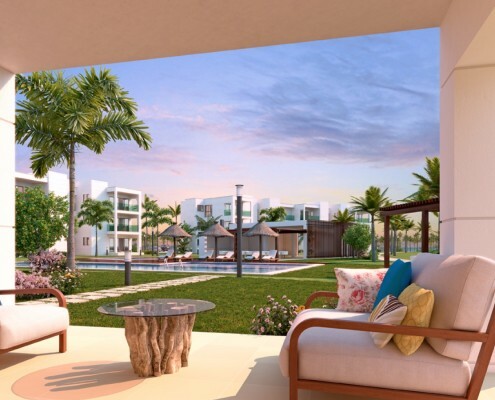 Enjoy first-class services, exclusive communal areas, and an extraordinary golf course. 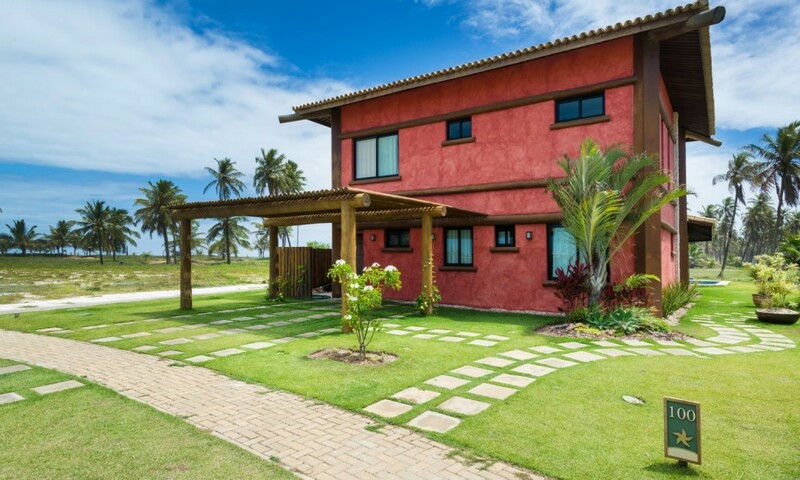 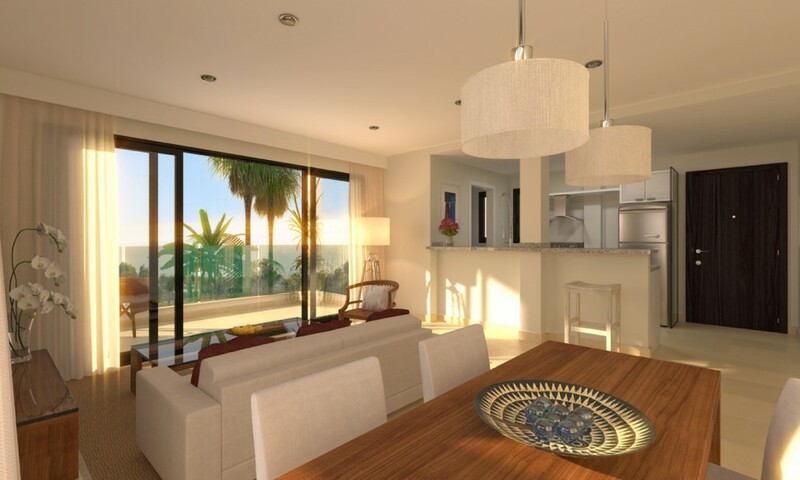 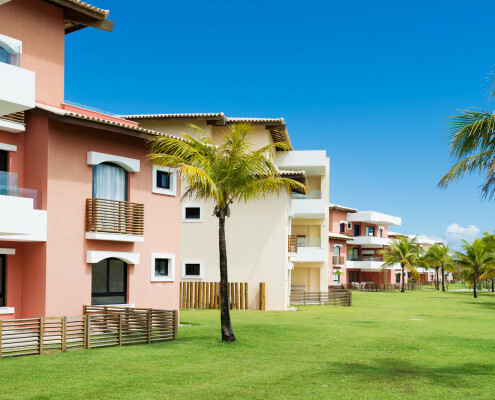 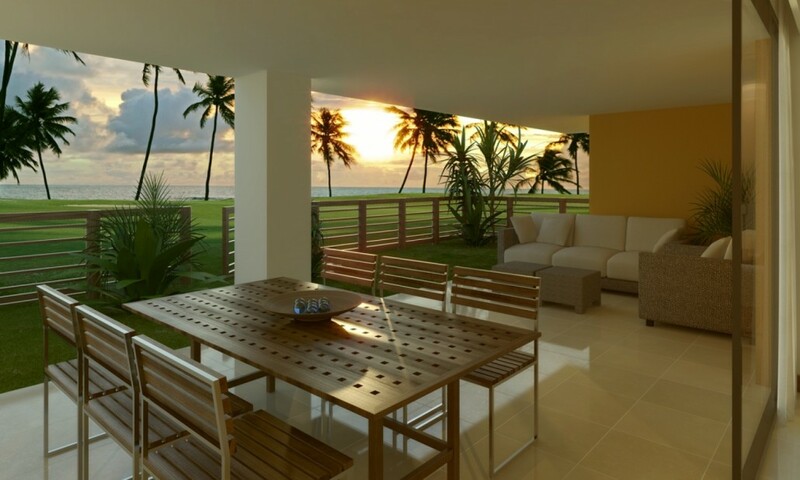 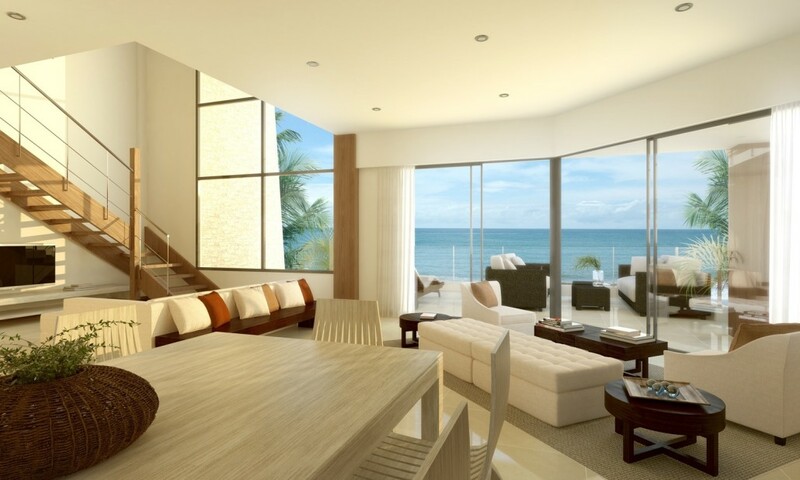 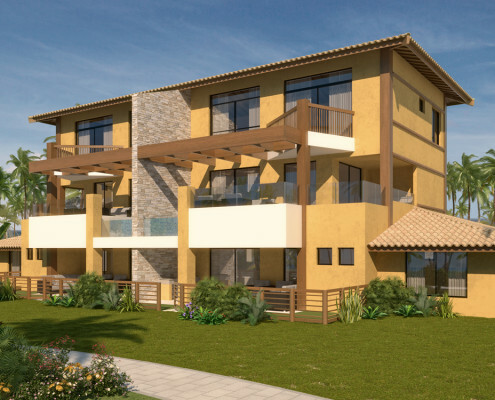 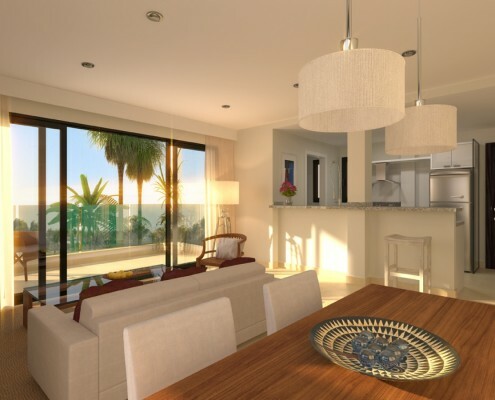 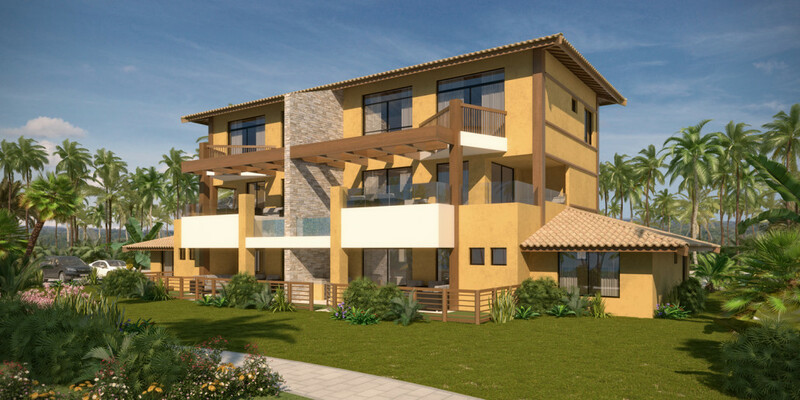 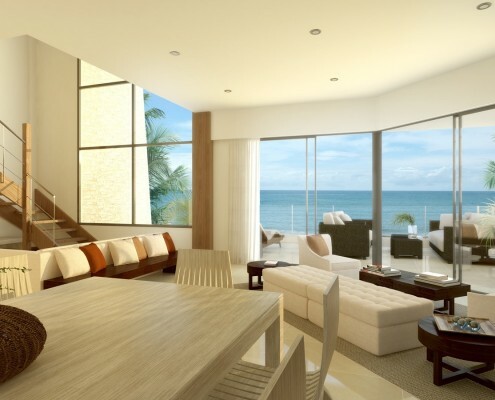 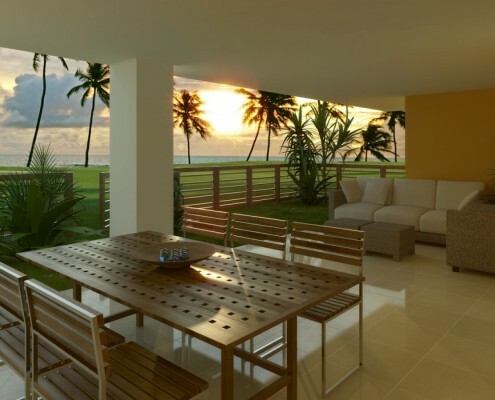 Enjoy an authentic paradise of beach and nature by purchasing one of the luxurious condos in Praia do Forte. 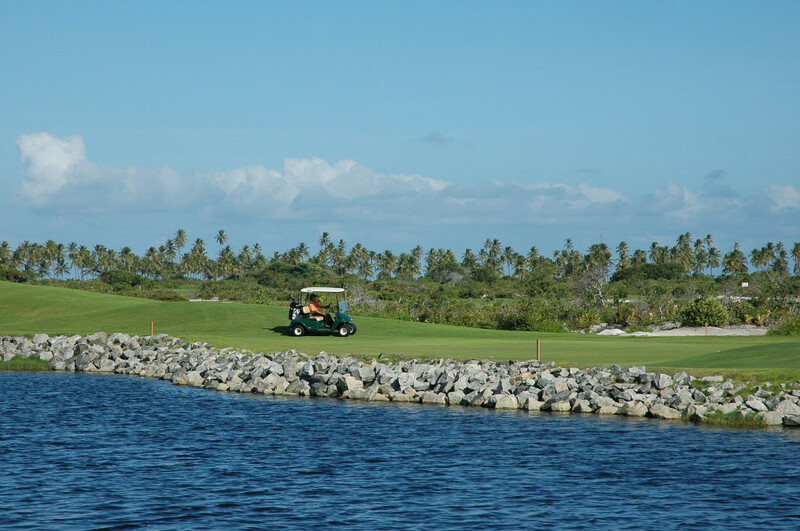 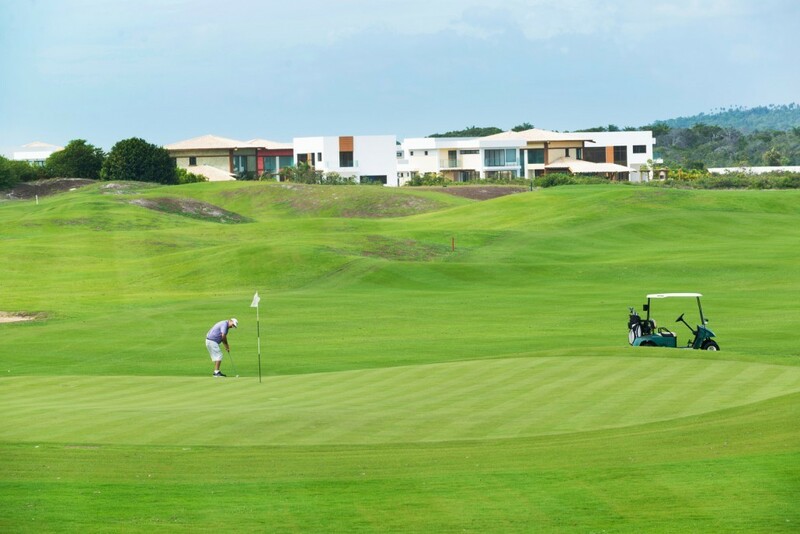 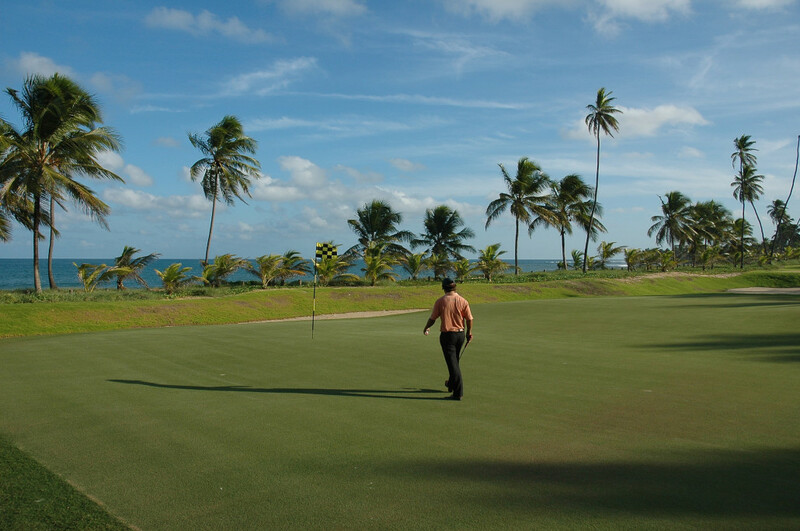 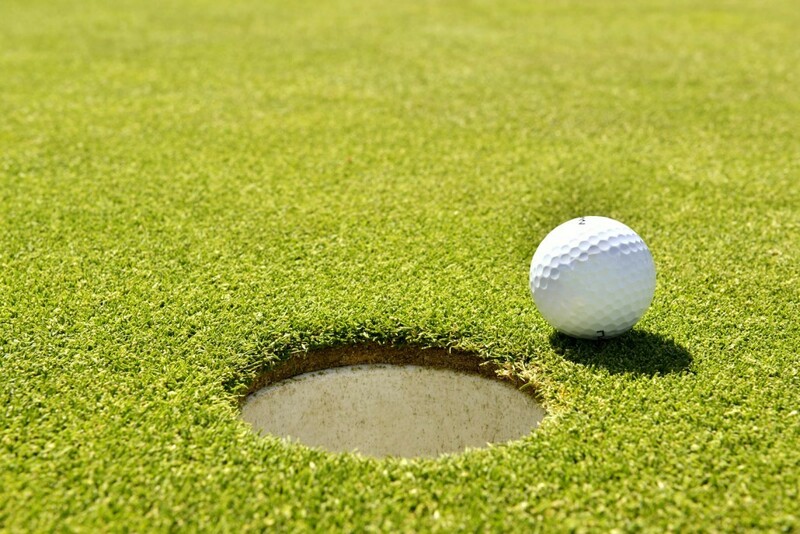 Magnificent facilities, golf course, and the services of a 5-star resort. 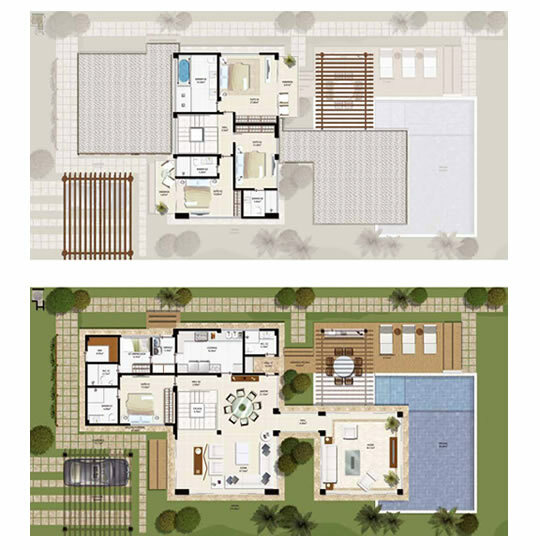 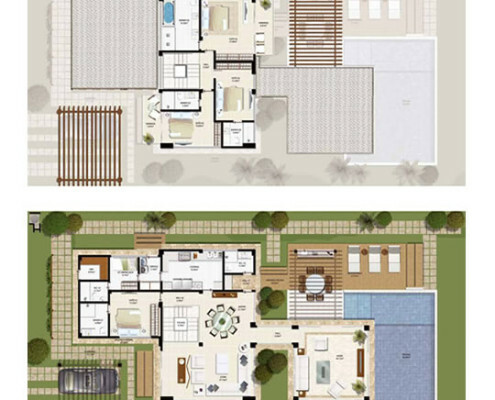 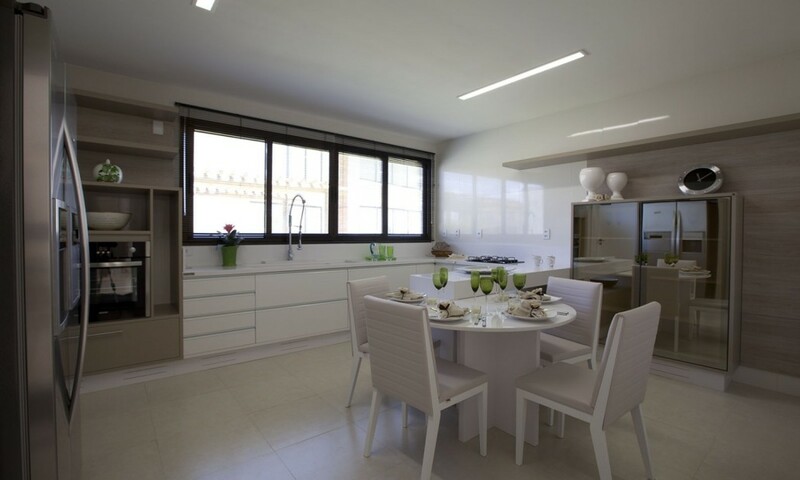 These spacious, welcoming and sophisticated villas have been designed for Iberostate by Antonio Caramelo. 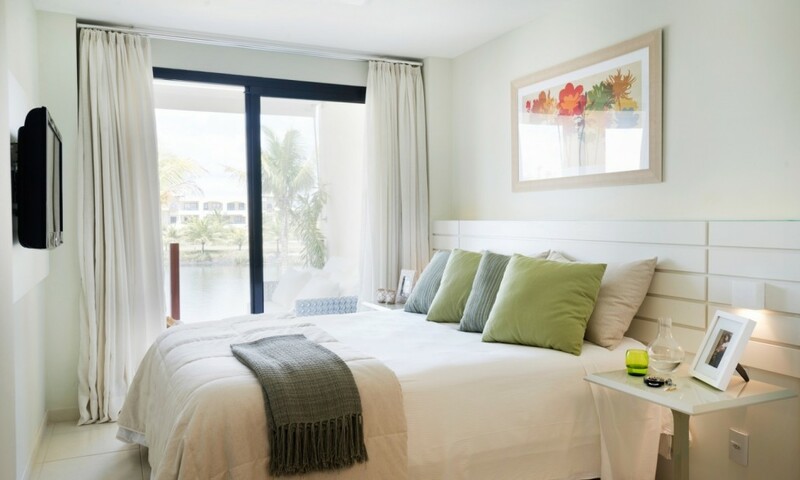 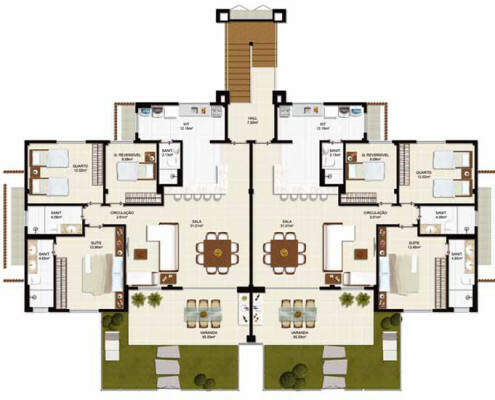 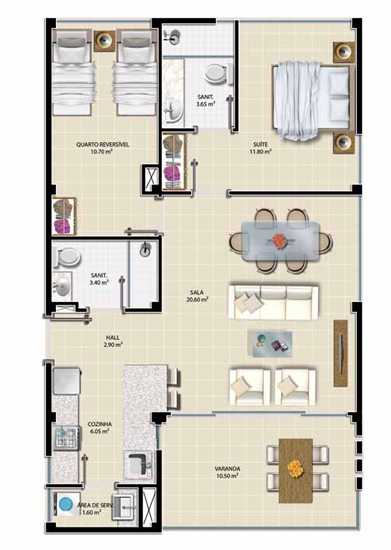 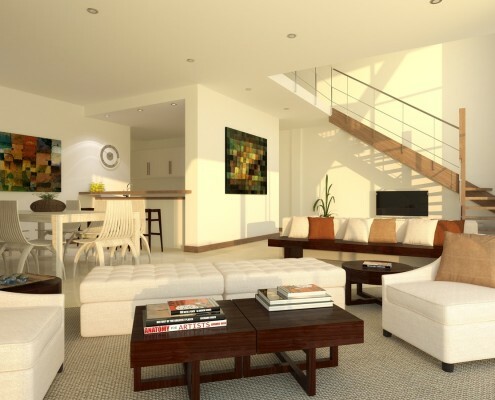 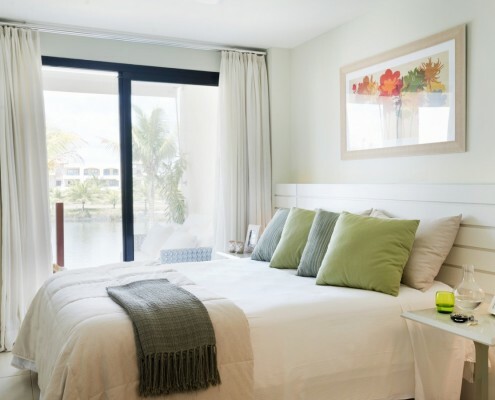 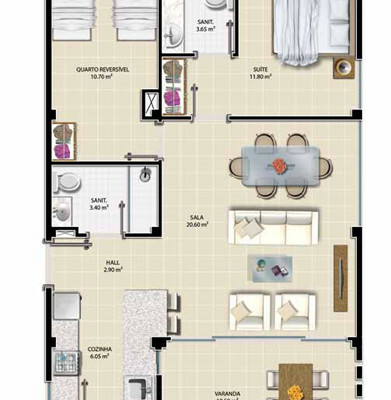 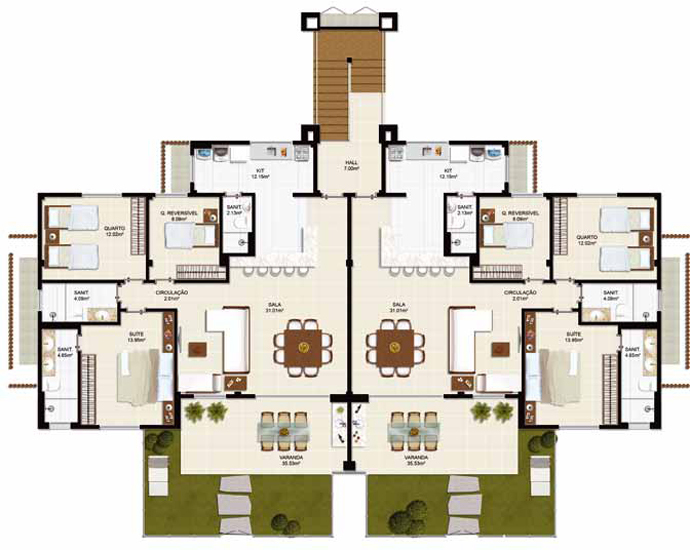 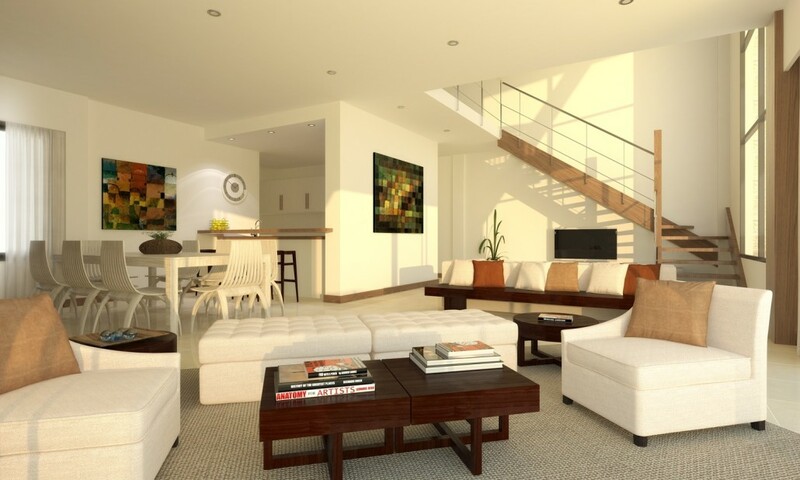 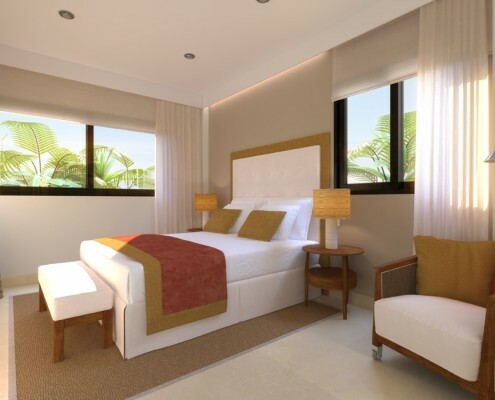 Luxury, comfort and spacious rooms are the highlights of these first class homes. 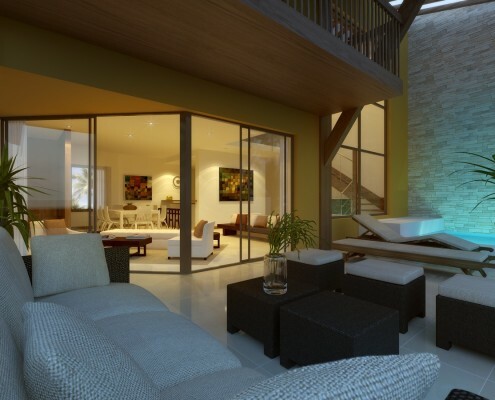 The villas integrate into the perfection of their spectacular environmental surroundings. 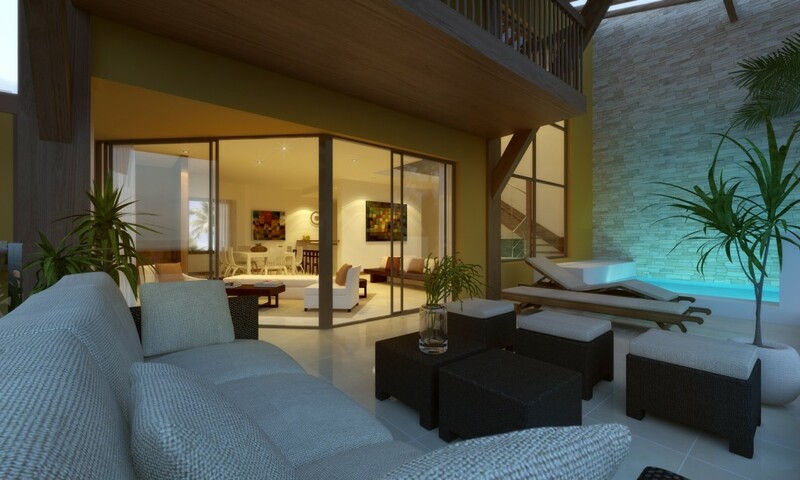 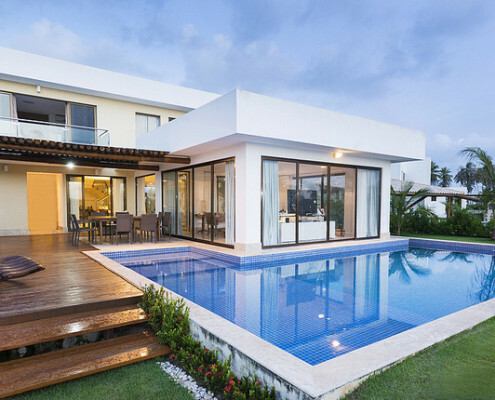 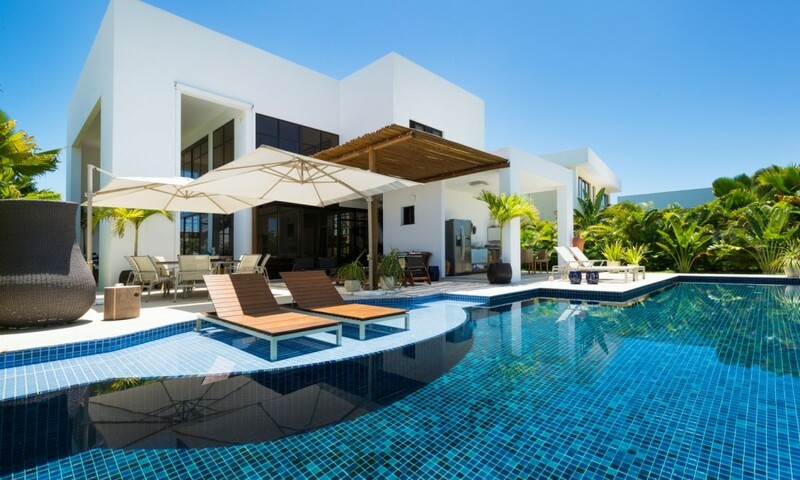 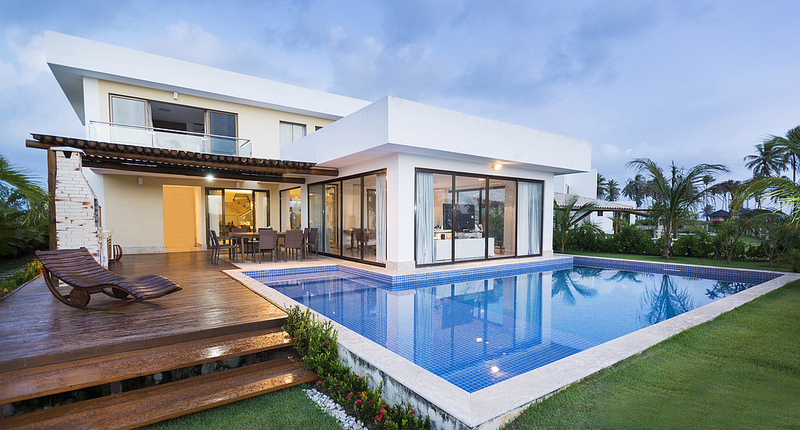 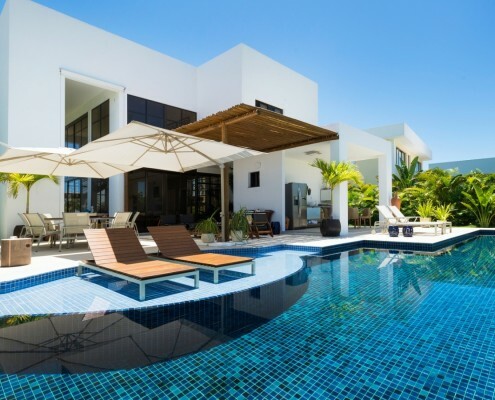 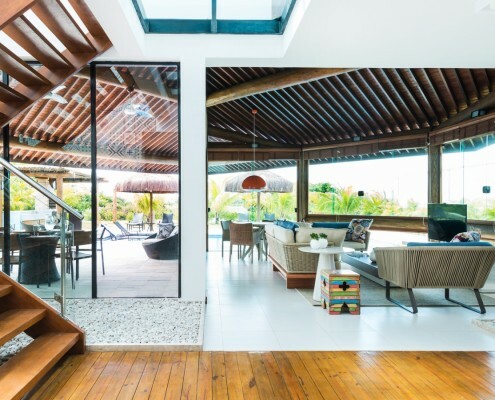 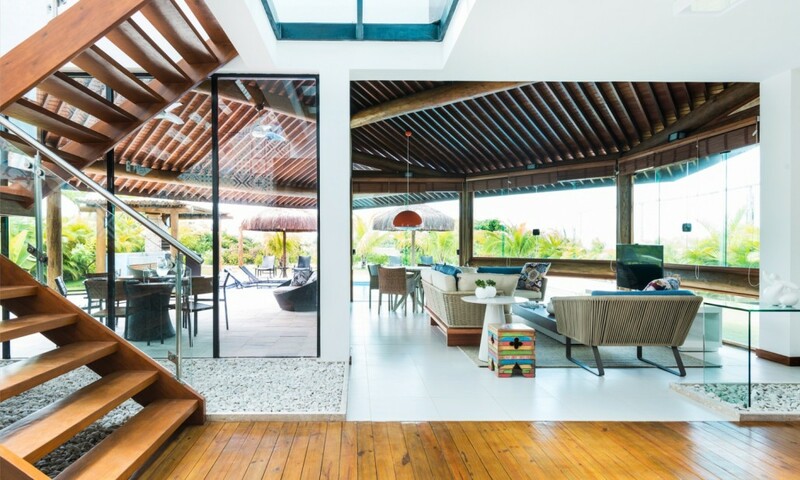 Exclusive villas with a contemporary style where comfort and function combine with cutting-edge design. 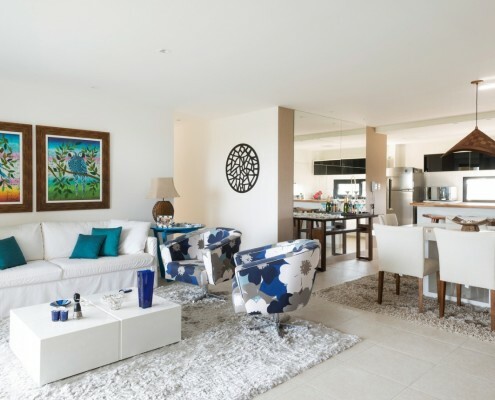 Built space spread over two stories with four spacious bedrooms, spectacular gardens and a swimming pool. 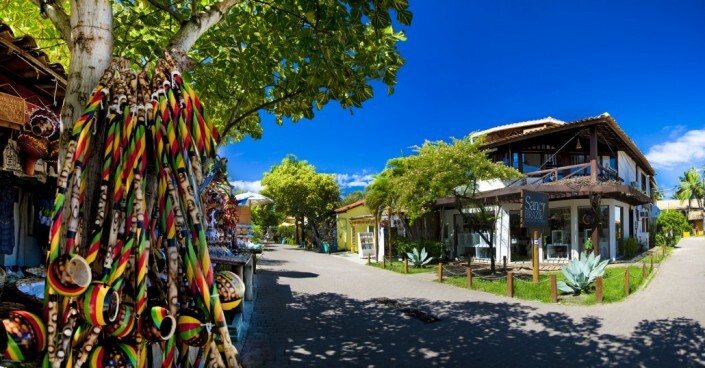 A unique design, refinement and function at your fingertips, to help you experience the best of one of the most beautiful areas of Brazil. 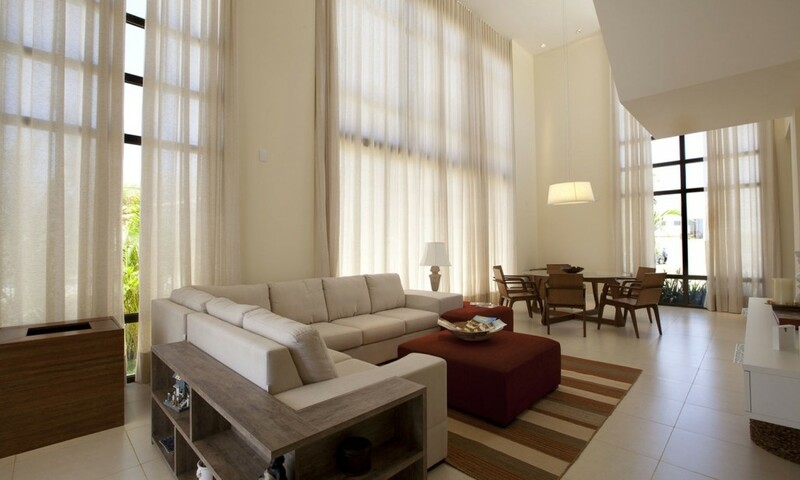 The four spectacular suites boast ample space while the exclusive grounds include gardens and a swimming pool. 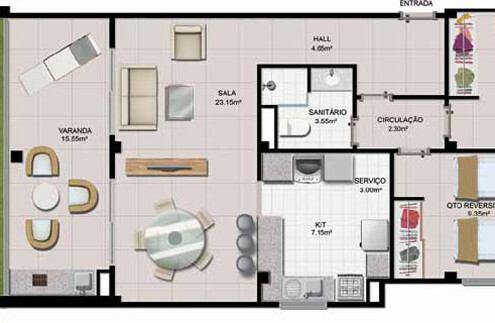 Housing furnished by Jefi Zavarize. 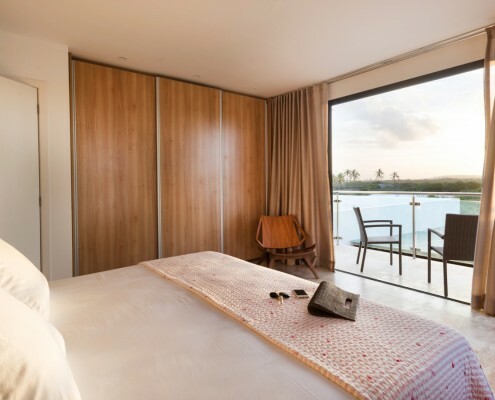 The Formentera three-bed apartments, by Ivan Smarcevski, cover 122m² of built space and their rooms integrate into the perfection of the spectacular environment of Praia do Forte. 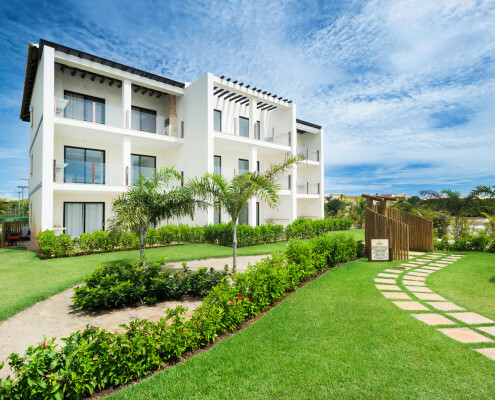 Landscaped communal gardens are also included. 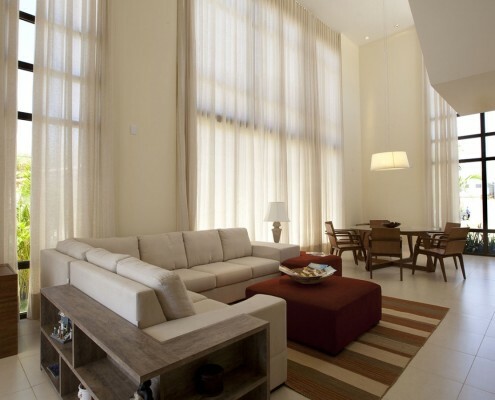 Luxurious and sophisticated apartments of between 94m² and 134m² with two spacious and light bedrooms. 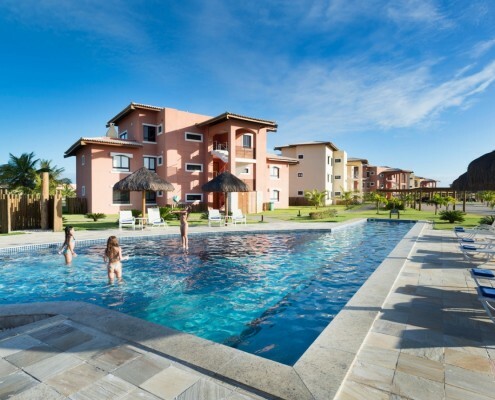 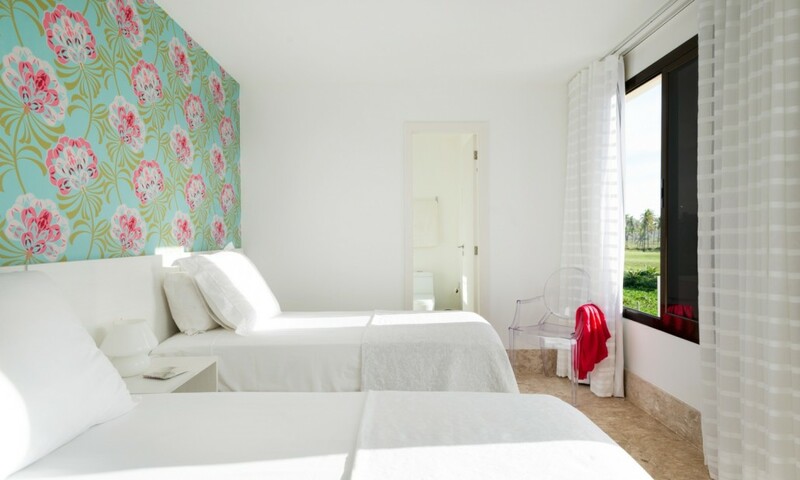 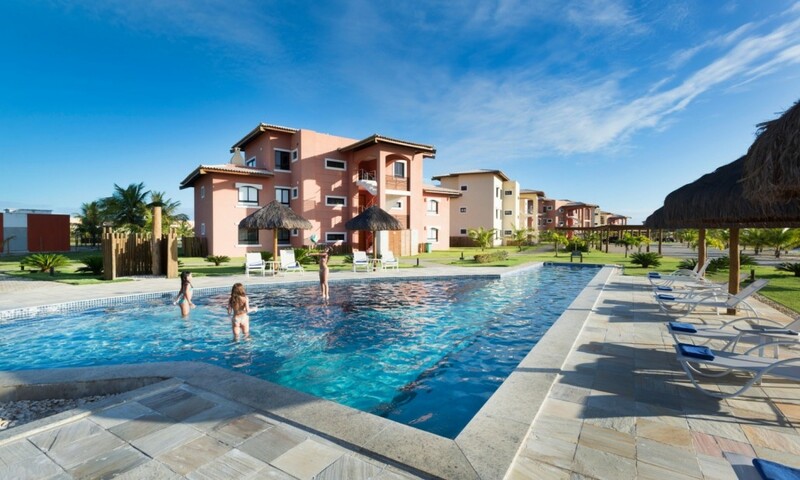 Immersed in the spectacular surroundings of Praia do Forte, this magnificent accommodation comes with extensive communal areas with gardens and swimming pools. 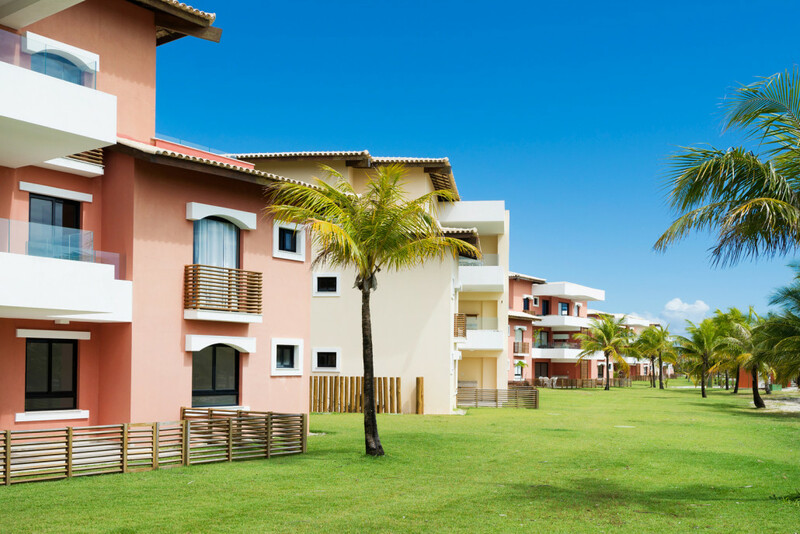 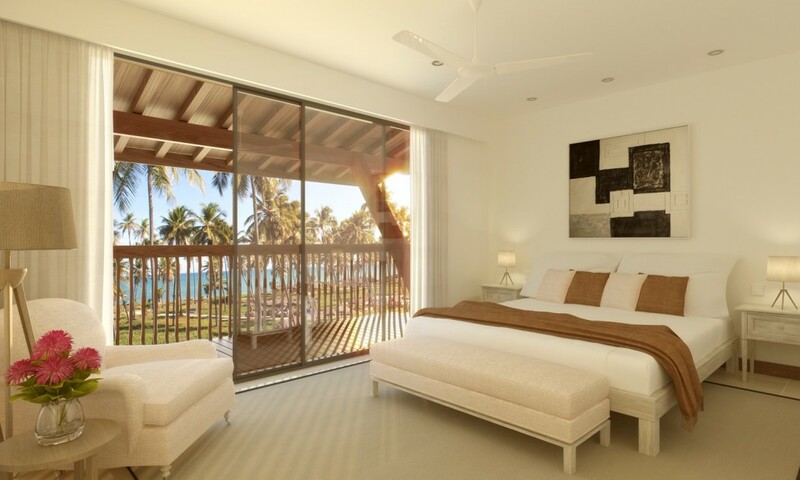 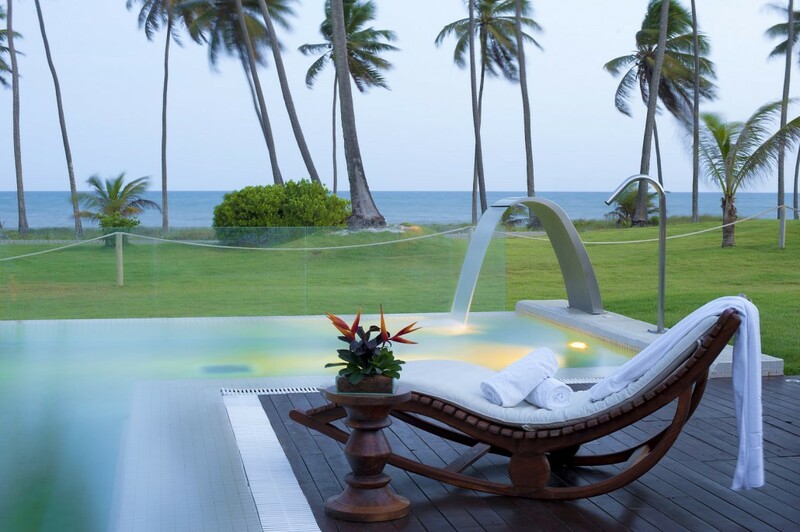 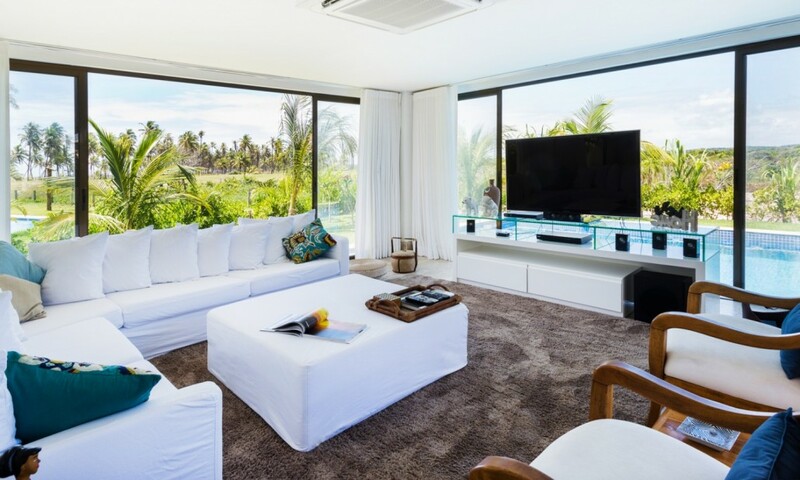 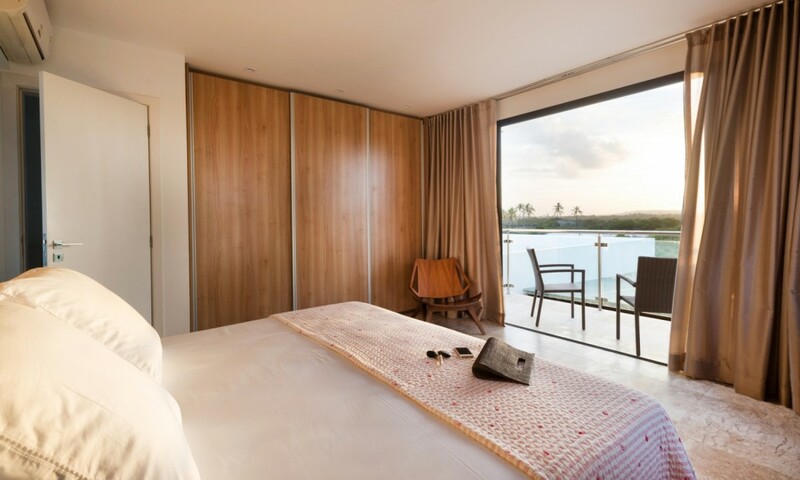 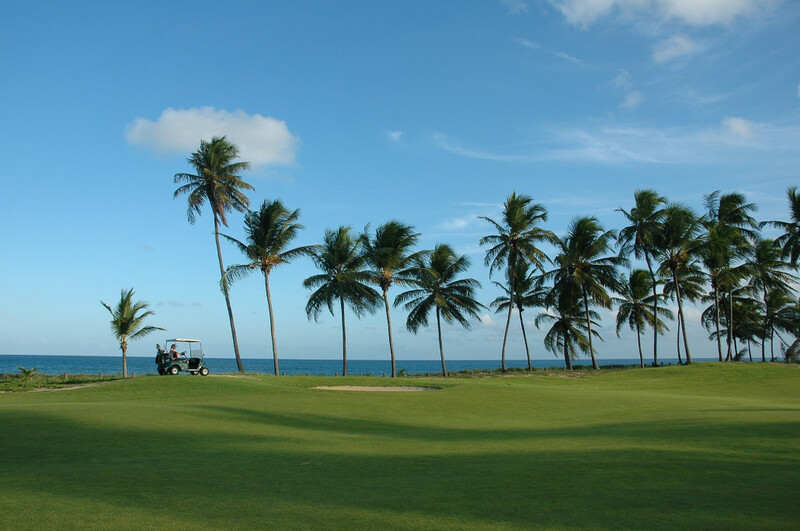 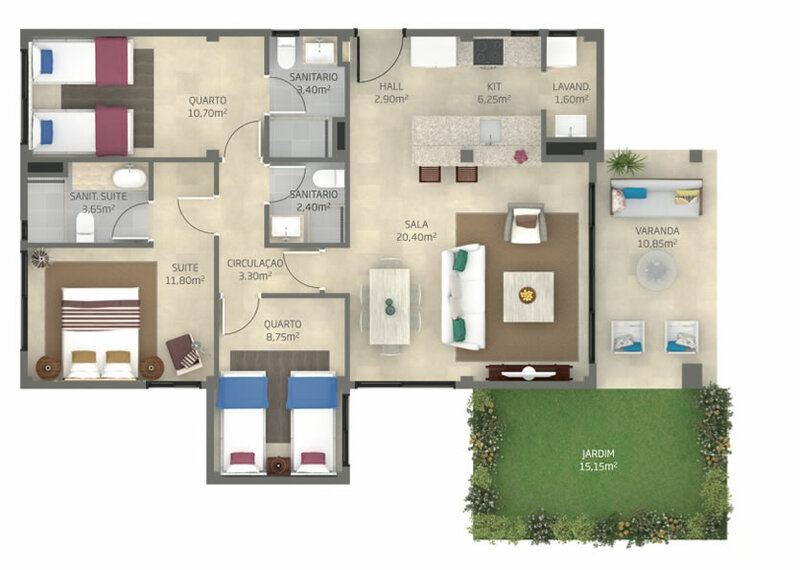 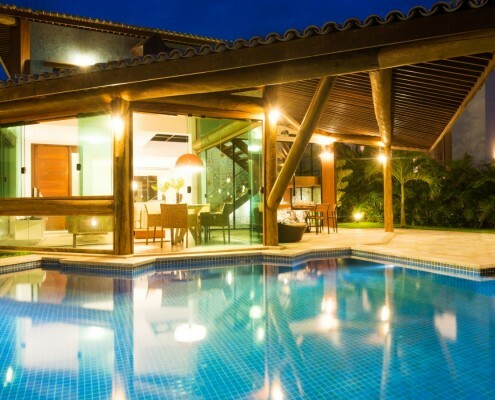 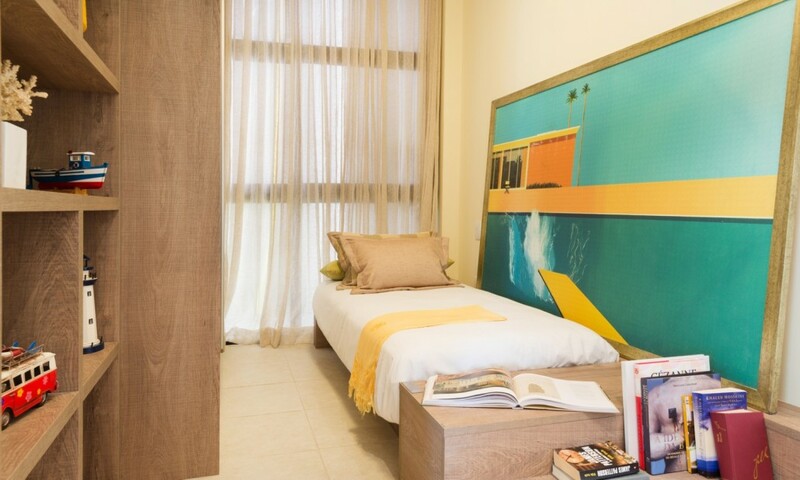 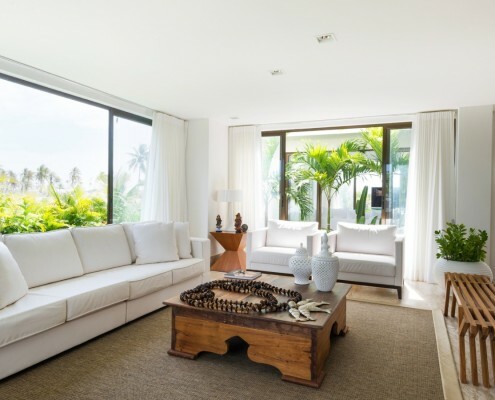 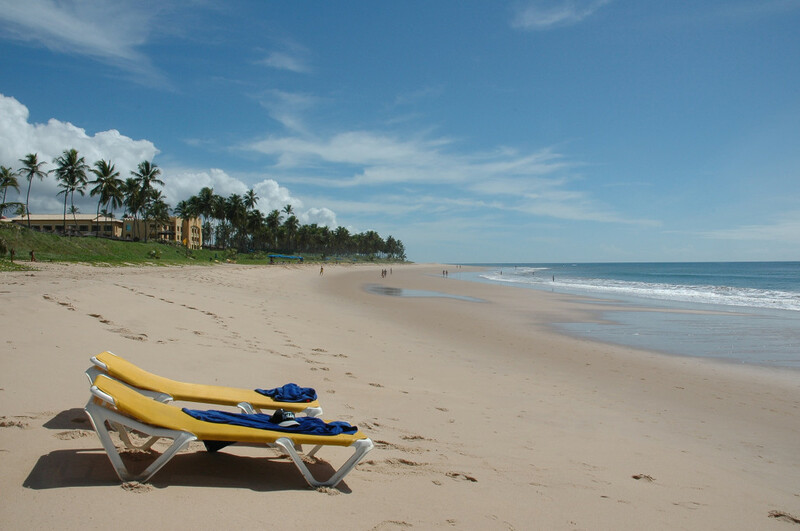 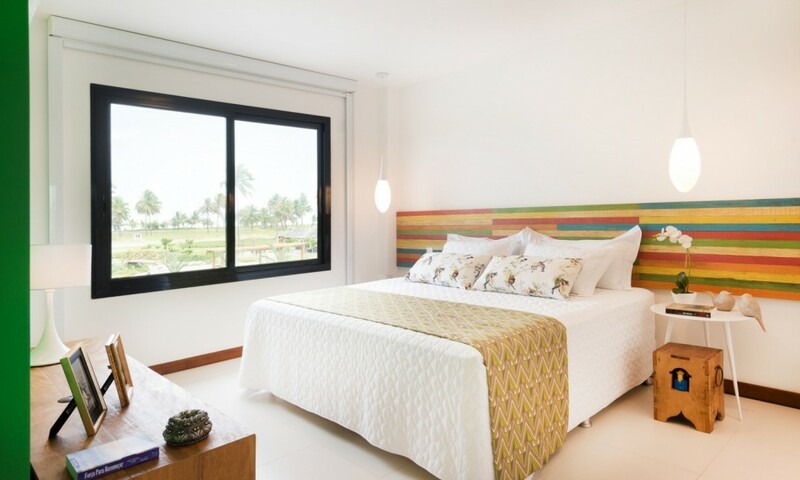 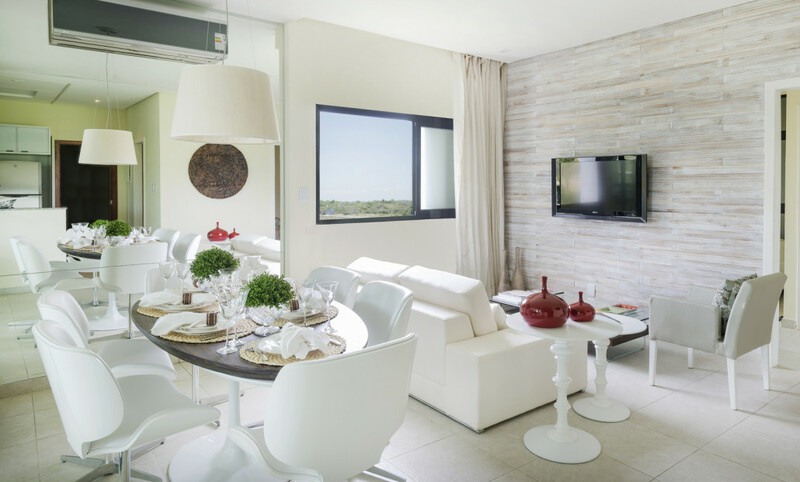 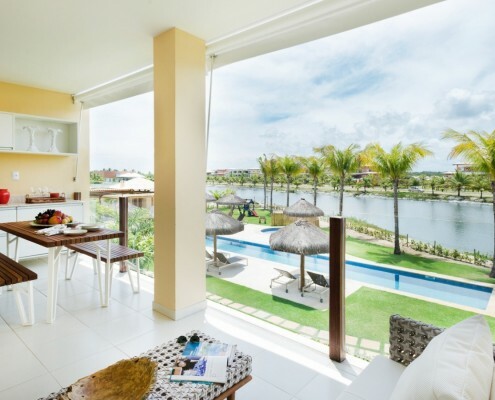 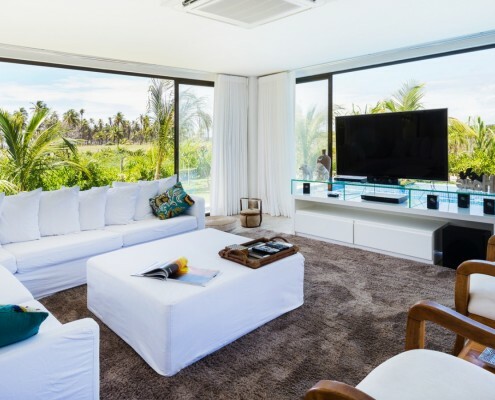 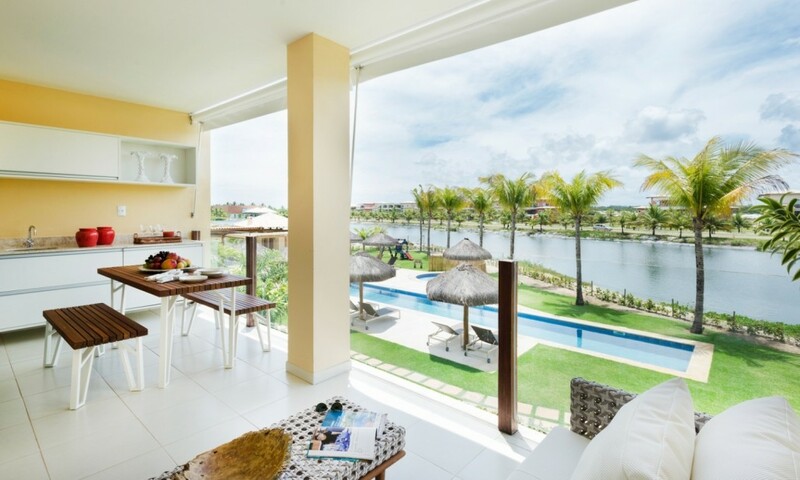 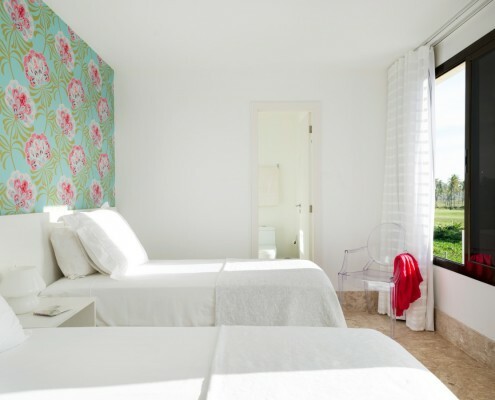 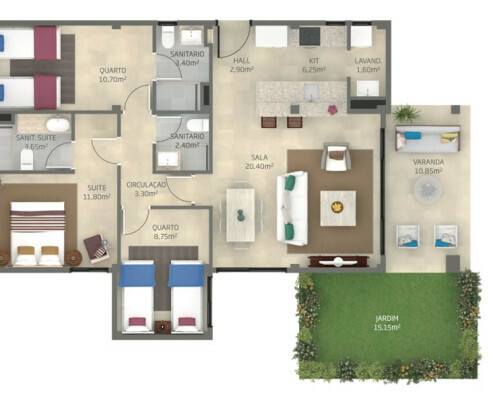 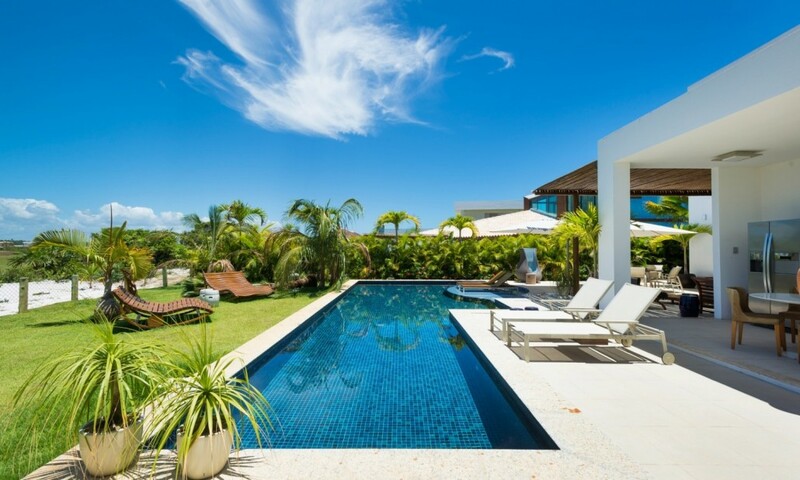 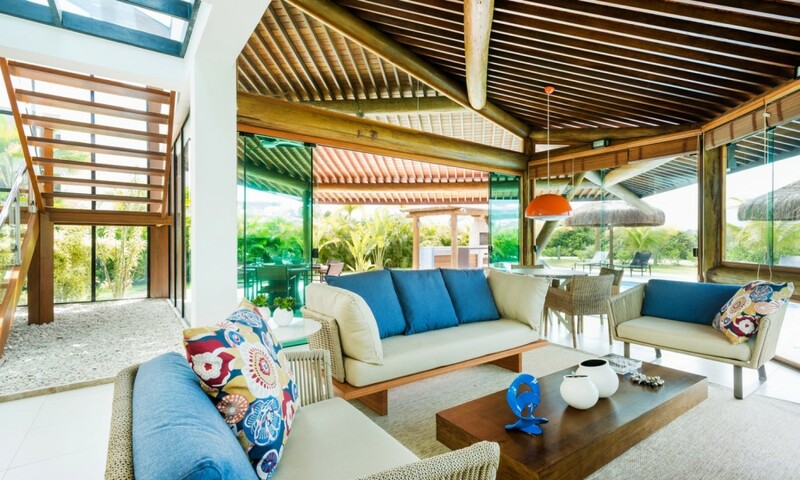 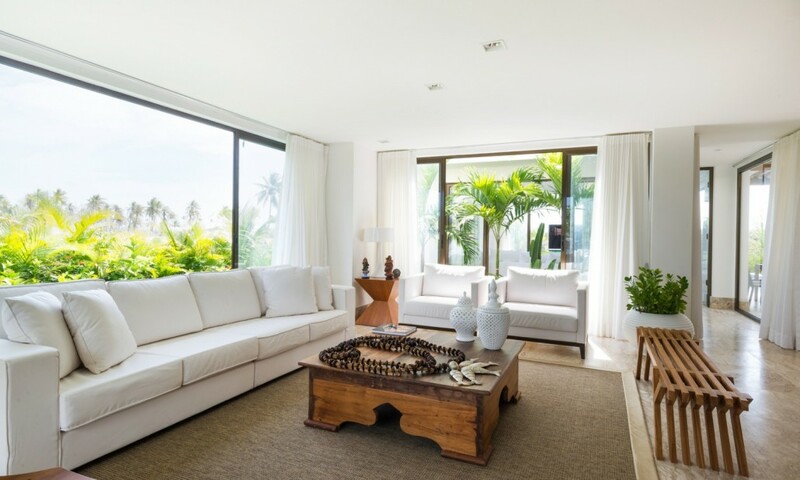 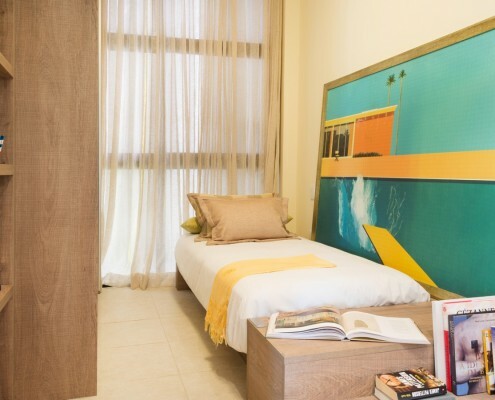 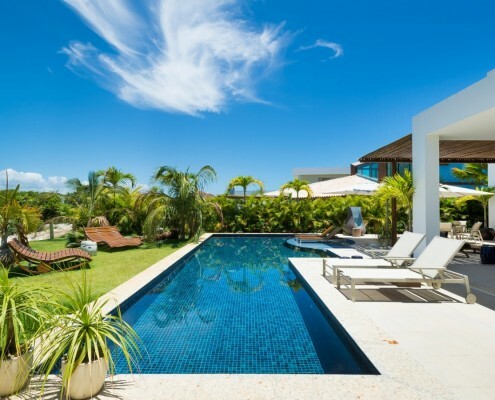 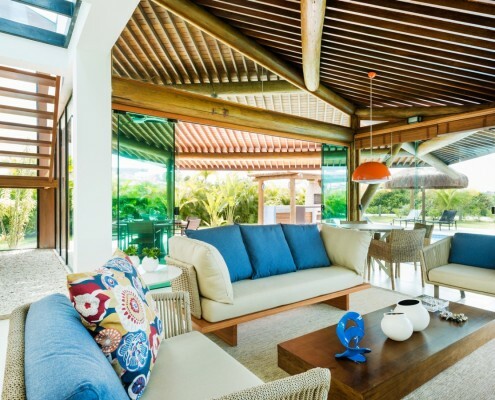 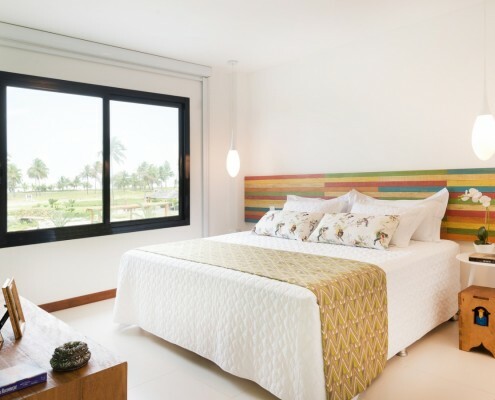 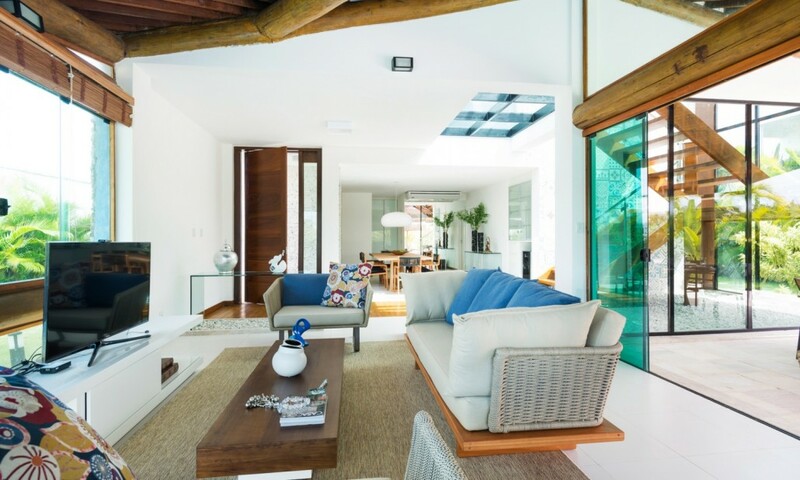 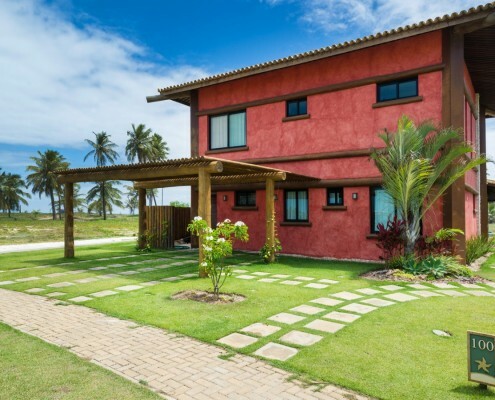 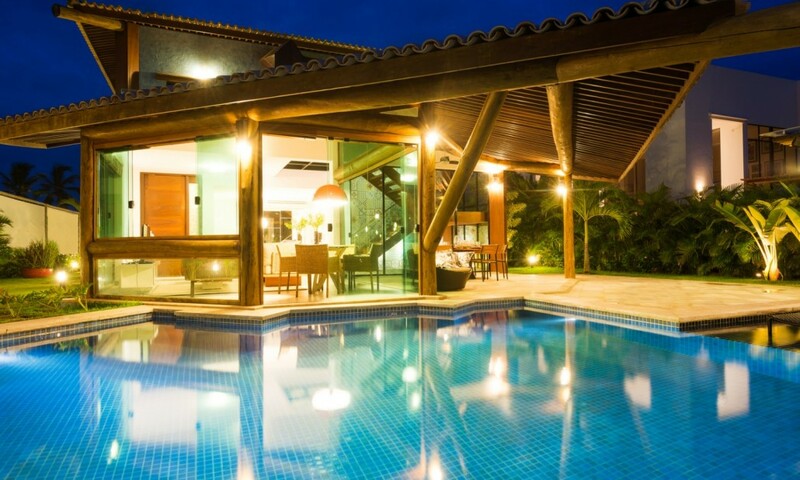 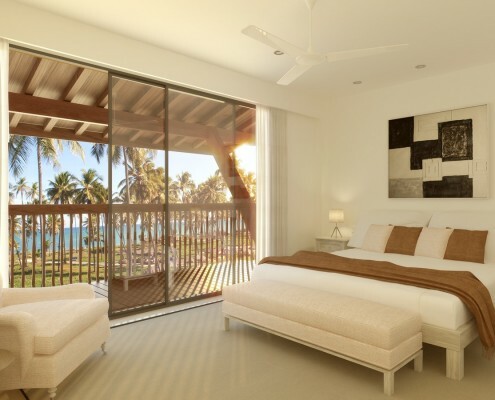 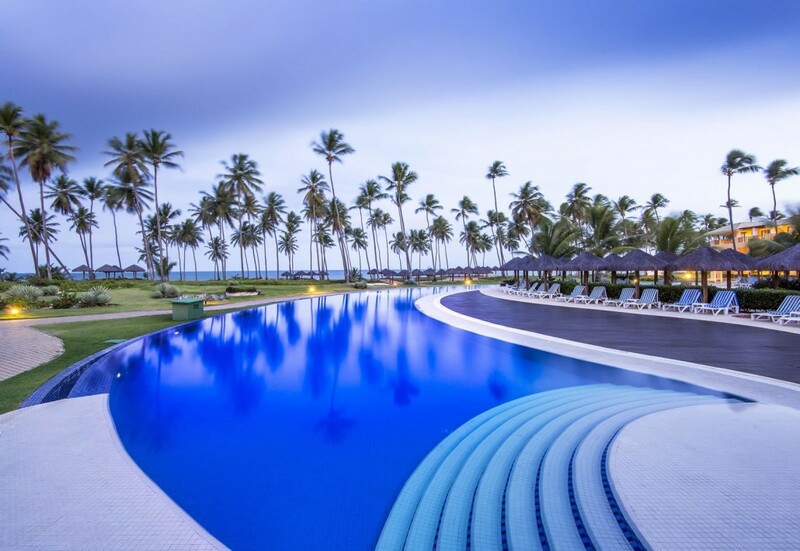 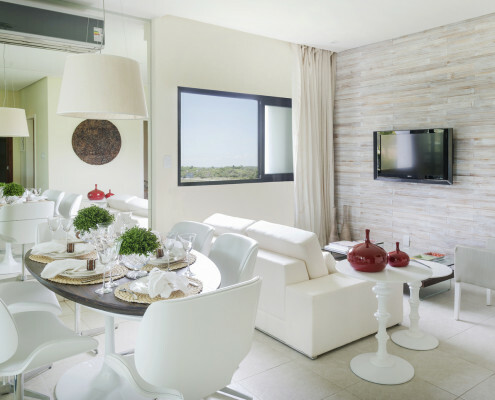 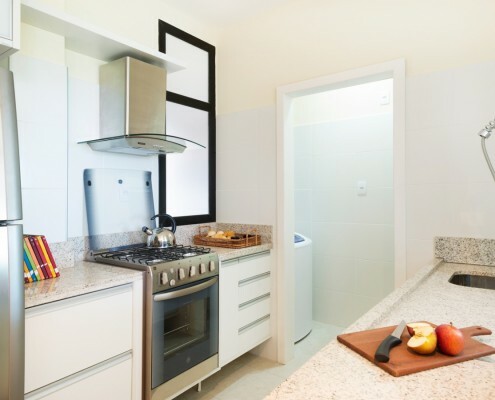 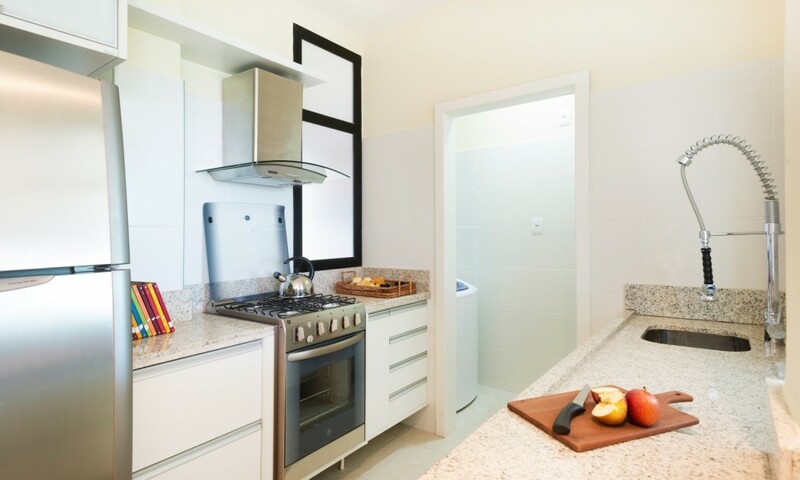 These space offer you the chance to experience firsthand all the exclusivity of Praia do Forte. 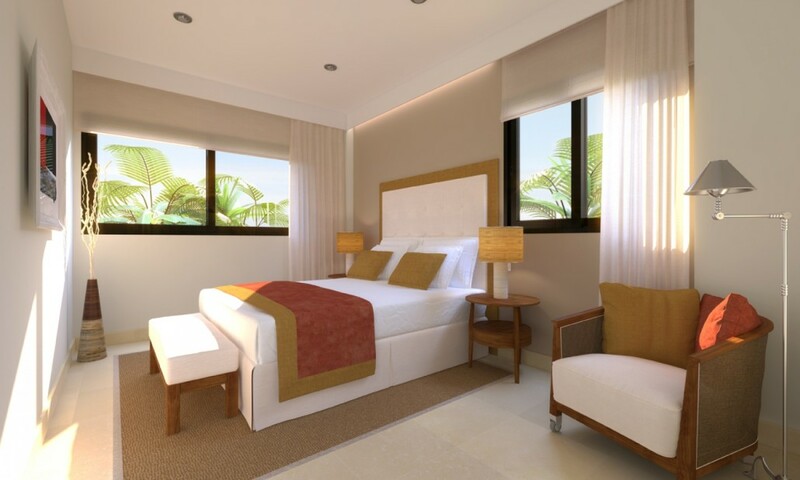 The elegant, one-room, spacious apartments located next to the golf course come with everything you need for complete comfort. 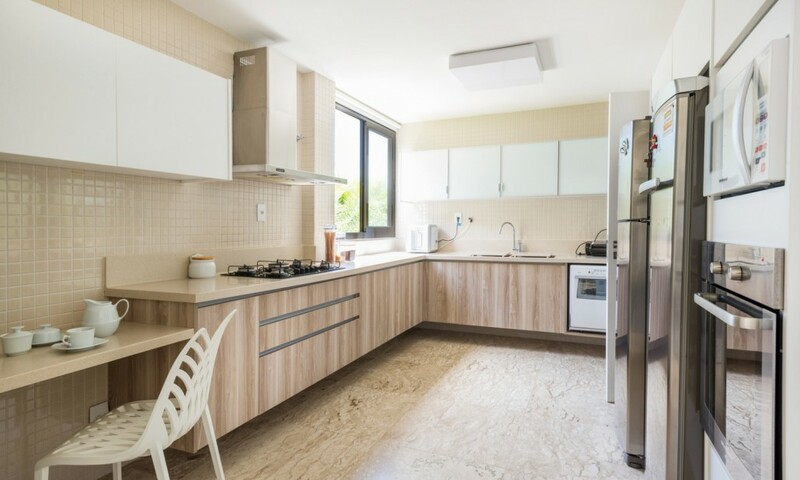 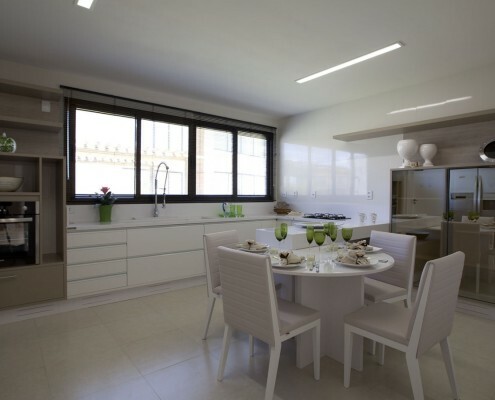 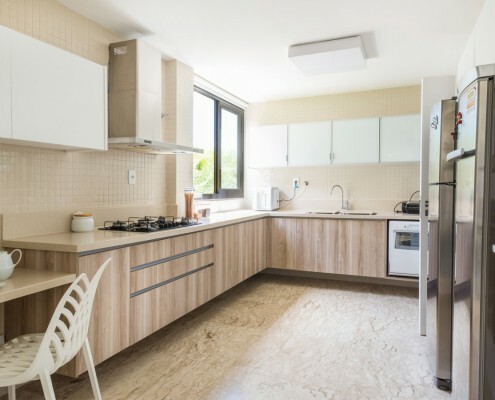 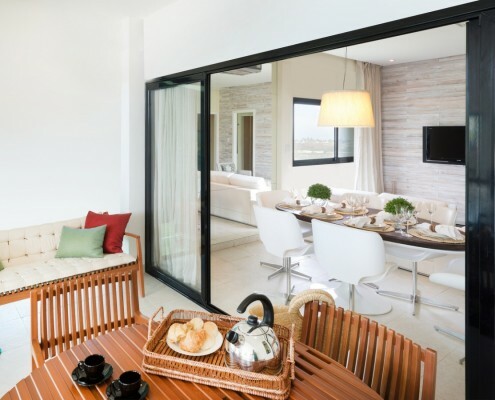 A few meters from the golf course, these modern apartments design and unique integration consisting of 3 bedrooms and 100 m² of space specifically intended for absolute comfort. 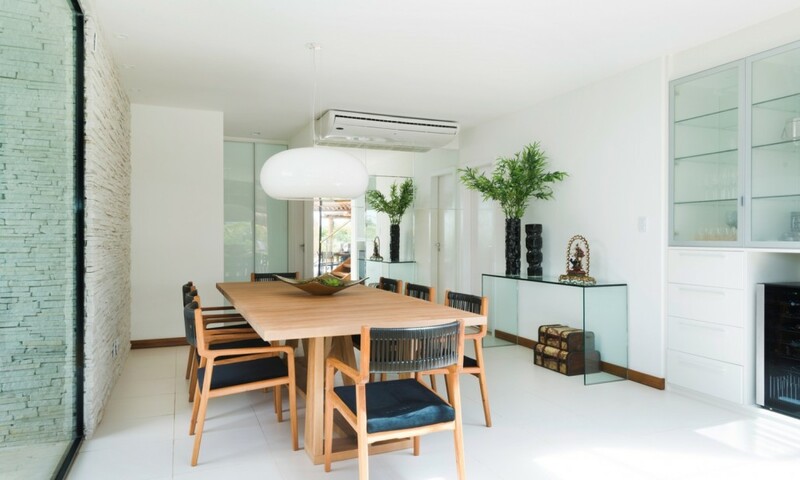 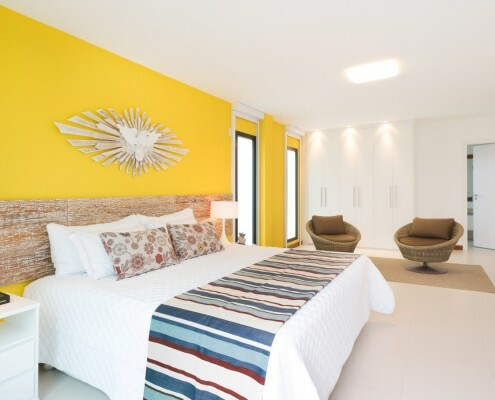 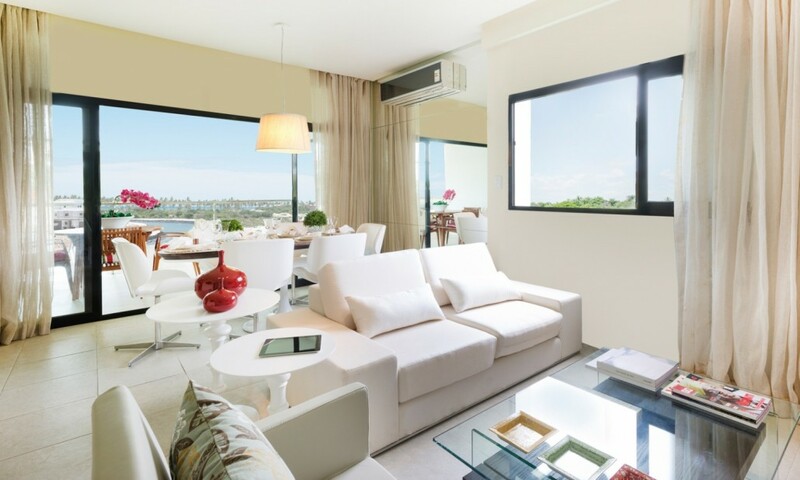 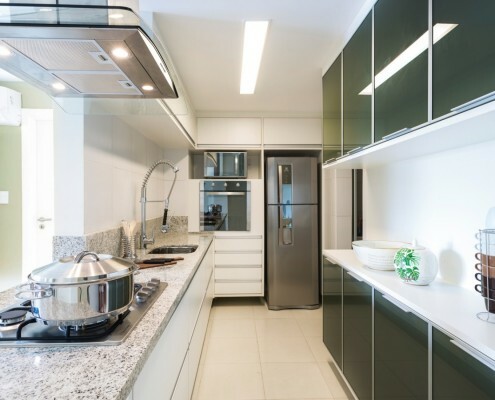 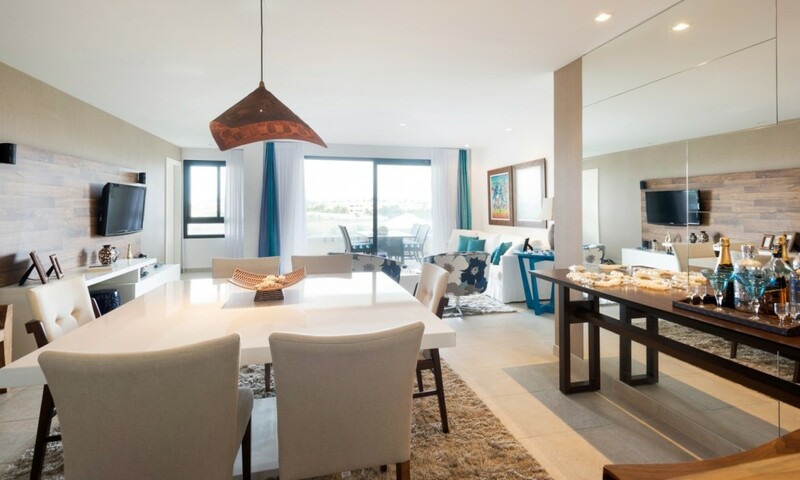 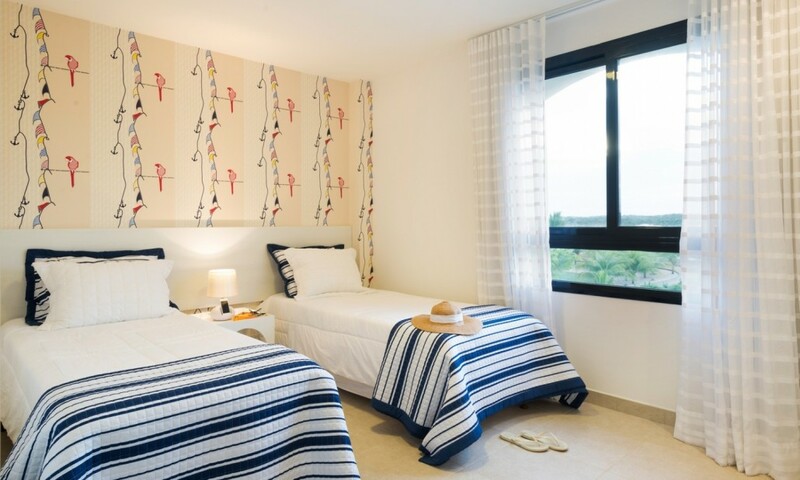 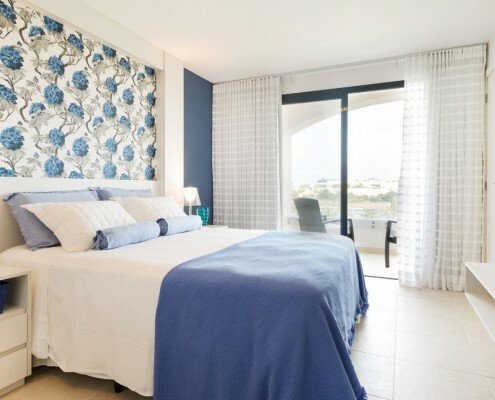 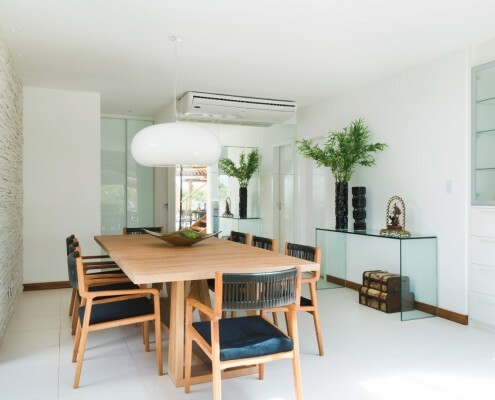 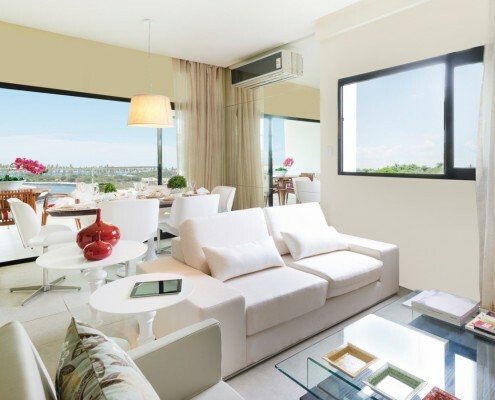 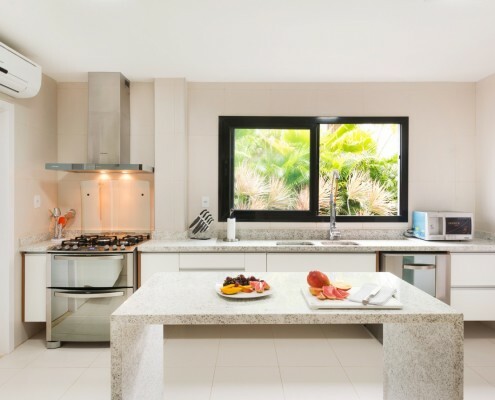 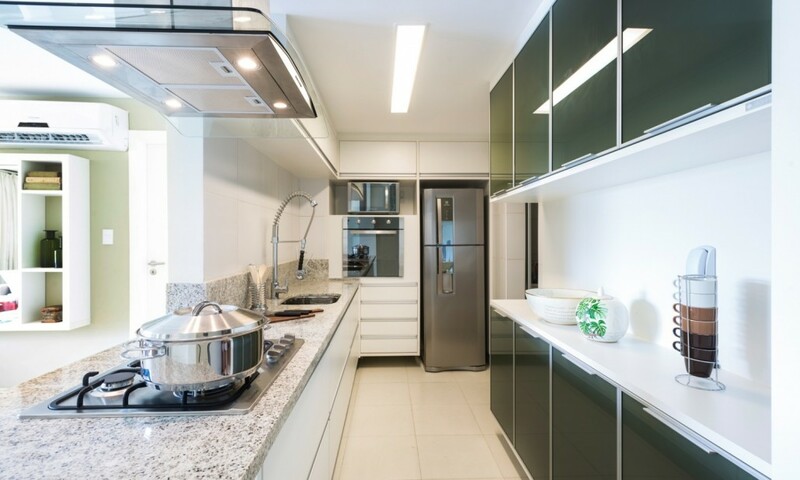 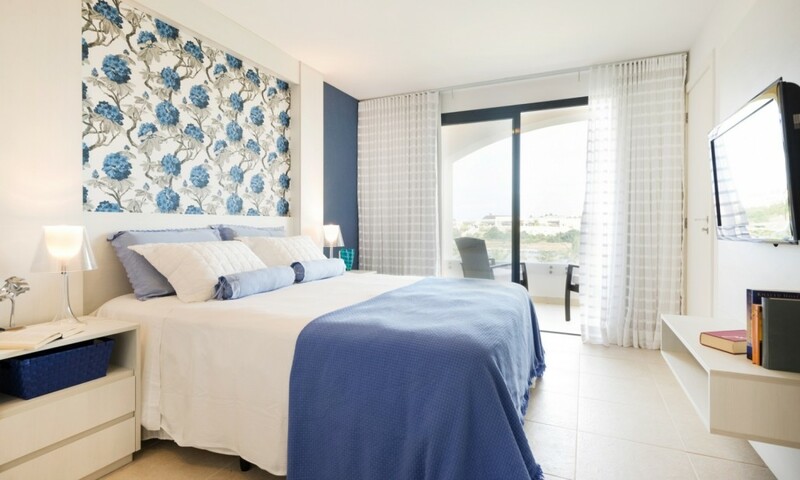 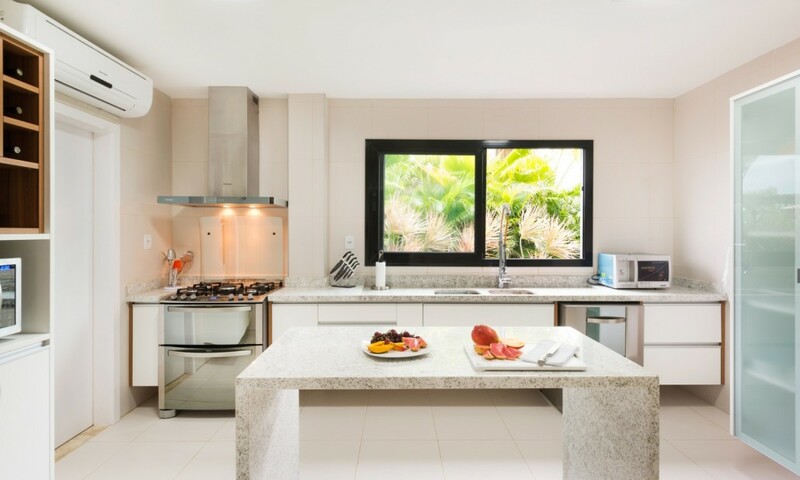 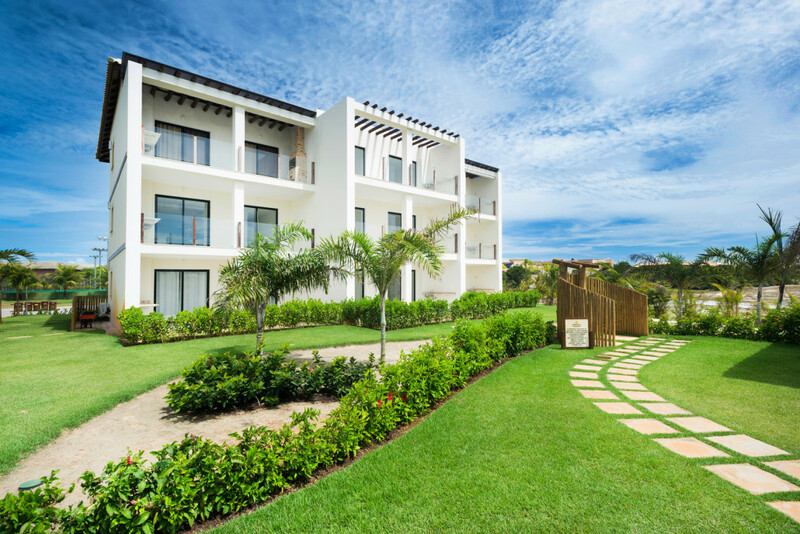 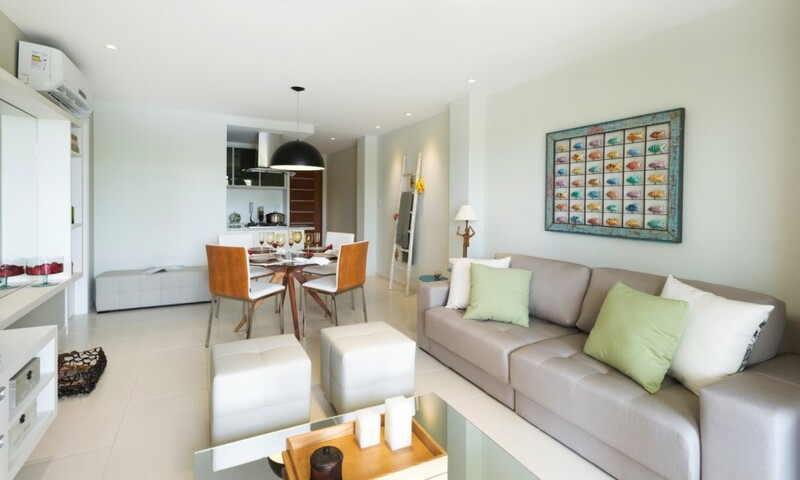 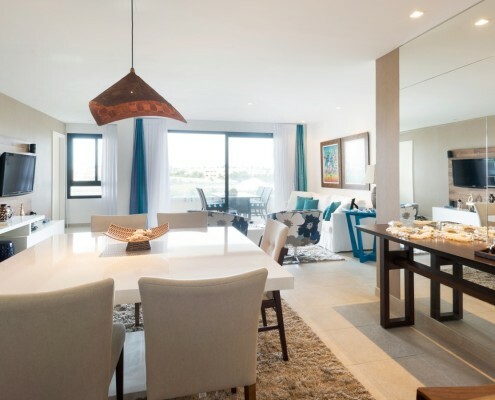 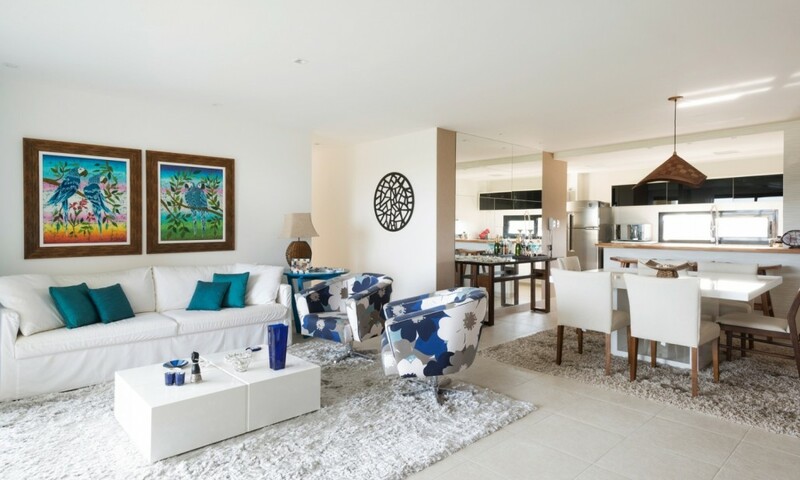 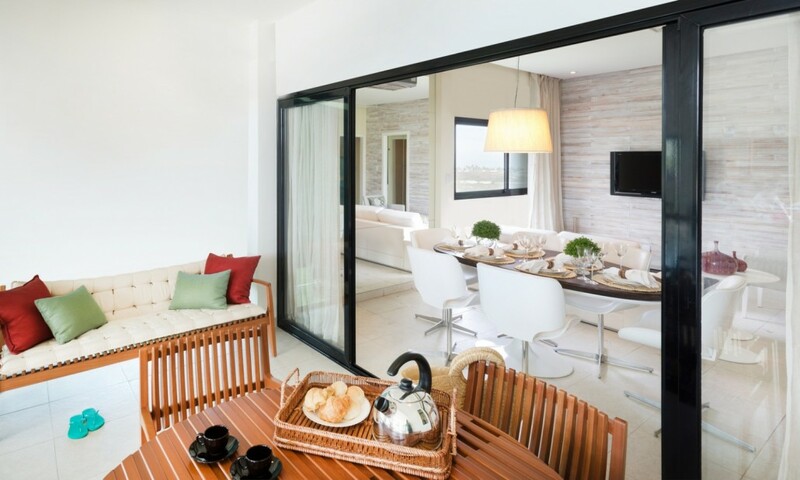 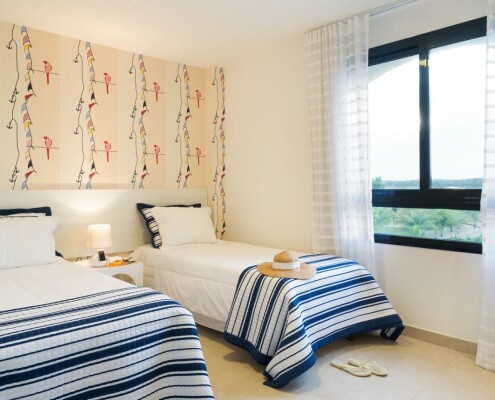 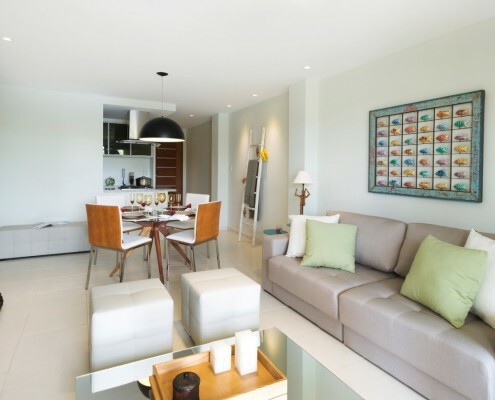 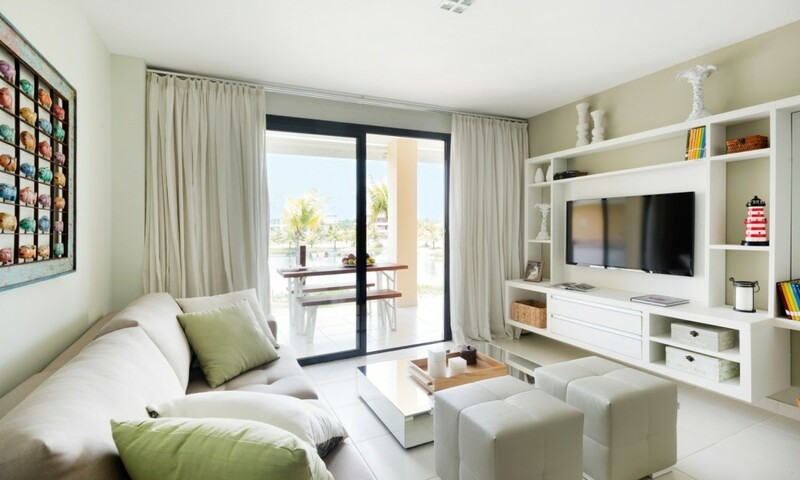 These impressive luxury apartments cover 233m² of built space and offer spacious, light and elegant rooms from which you can enjoy your privileged location by the sea, among tropical gardens.